I don’t get takeaways that often but sometimes nothing else will do. 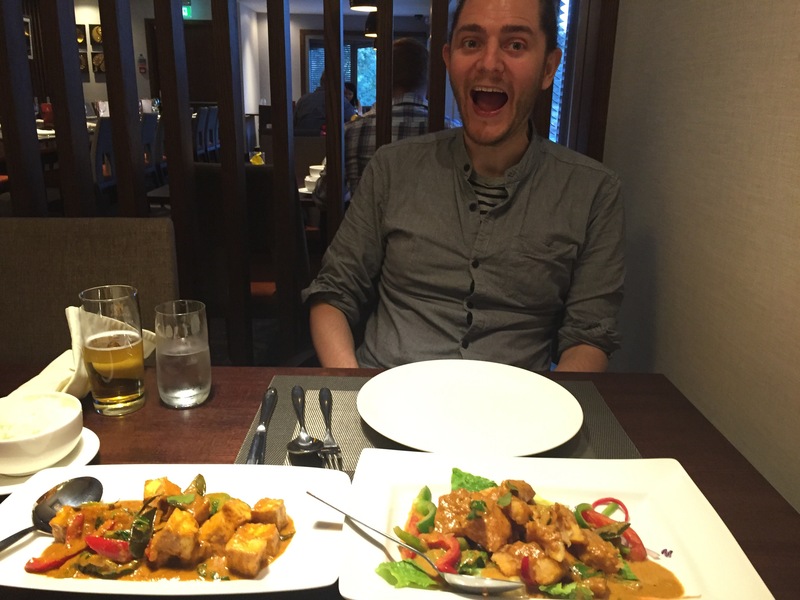 After a long journey back from a family wedding this Sunday we were both in the mood for some comforting Indian food without the need to put on proper trousers or cook. I haven’t had an Indian takeaway since going vegan as I wasn’t sure how to guarantee 100% vegan food. Luckily Karma Kitchen has just launched, delivering in a 5 mile radius from Newcastle City Centre they do an all vegan Indian menu. This includes their naan breads and sides, yummy! 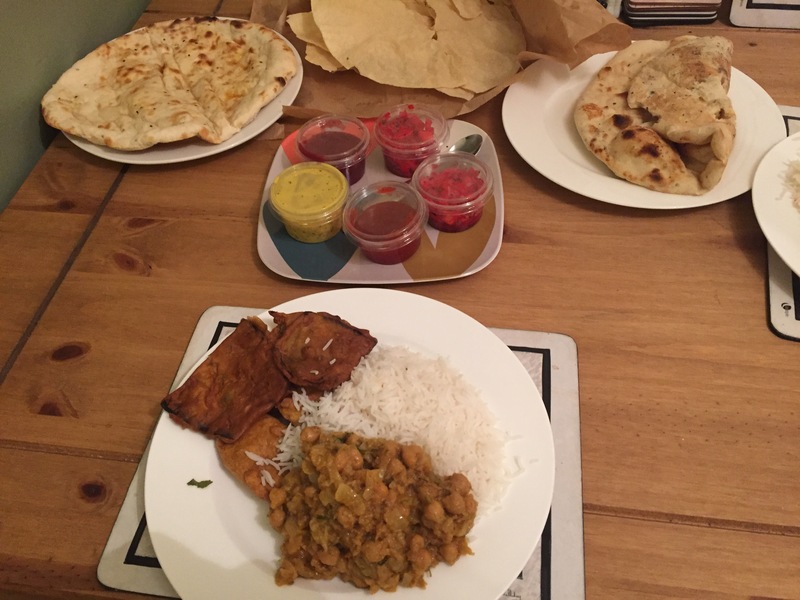 We placed our order at about 6.10pm which is 10 minutes after the kitchen opens and we ordered the chickpea curry, vegetable platter with curry dips, garlic naan, peshwari naan, steamed rice and I ordered spiced onions which weren’t on the menu but I asked if they could do it and they said yes. With delivery the whole Order came to £24.30 and we were given a delivery time of 7.45pm. The food came exactly on time and there was a lot of it! In this photo the plate is showing half the rice, platter and chickpea curry. 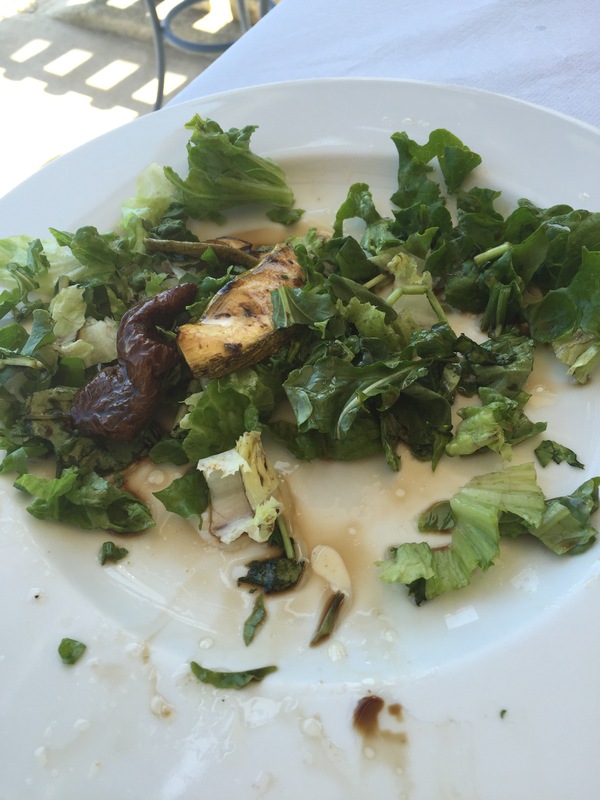 The food was perfect, it wasn’t greasy and was obviously fresh ingredients. The chickpea curry was very tasty and I think next time I order it (and there will definitely be a next time) I’ll be brave and go for spicy curry rather than medium. The highlight for me though had to be the peshwari naan, normally I don’t like these and that’s why we always get two naan breads as Andy loves them, but when I accidentally tried some of Andys I couldn’t believe how lovely it was. The paste in the middle was so tasty and fresh with a delicate texture which wasn’t like any peshwari I’d ever eaten before. I was so impressed! In our haste to eat our dinner I forgot to take any more piccies except this one at the end of Andy looking stuffed. I think the next time we order I’ll order something completely different. Not because what I had wasn’t nice but because I fully trust whatever I order will be special and I want to try them all!! I wish every success to Karma Kitchen and I feel so lucky to live in a city with so many exciting up and coming vegan ventures to support! 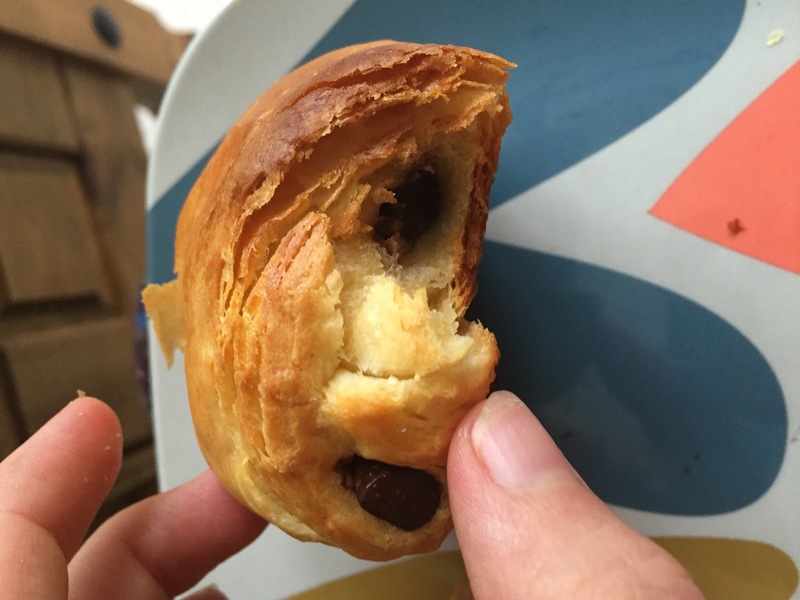 There are some things that you just accept as a vegan, and for me one of those things was that I would never spend a rainy morning with the papers dipping a warm Pain Au Chocolat into a coffee ever again. 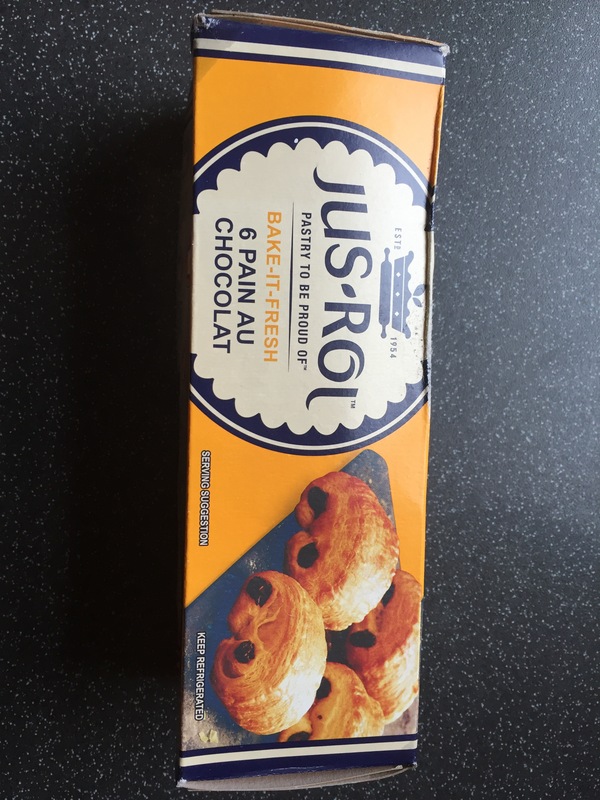 I told myself I didn’t mind and it was a small price to pay, but when I heard a rumour that Jus Rol did a range of bake them yourself pastries that were accidentally vegan I just had to investigate. I couldn’t believe it, but my research all came back the same. Vegan. Oh praise to the high heaven! 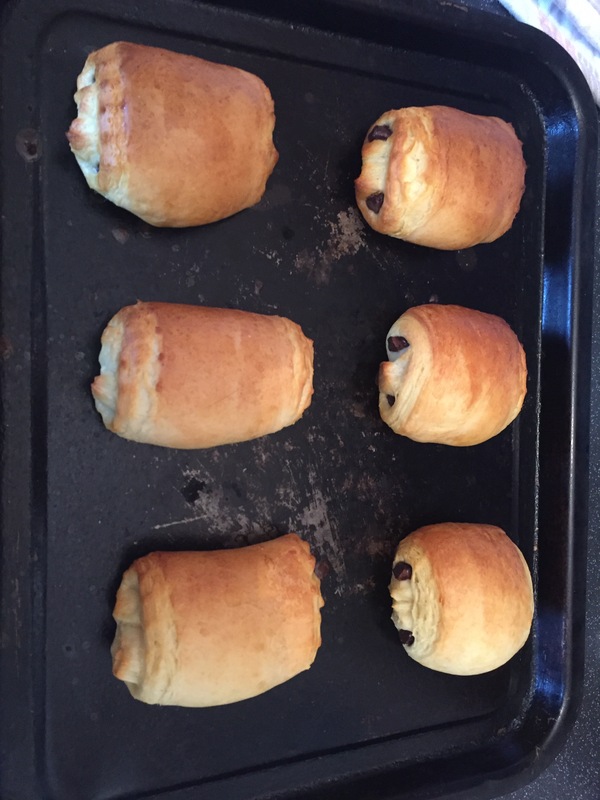 So when I woke up this morning and it was raining I decided it was perfect Pain Au Chocolat weather and I was going to treat myself. I stopped off at the big sainsburies at the end of my morning run and found them in the chilled section. The range included croissants and cinnamon rolls which are both vegan too (I will be trying these at another date). I got them home and got straight onto ‘cooking’ them. 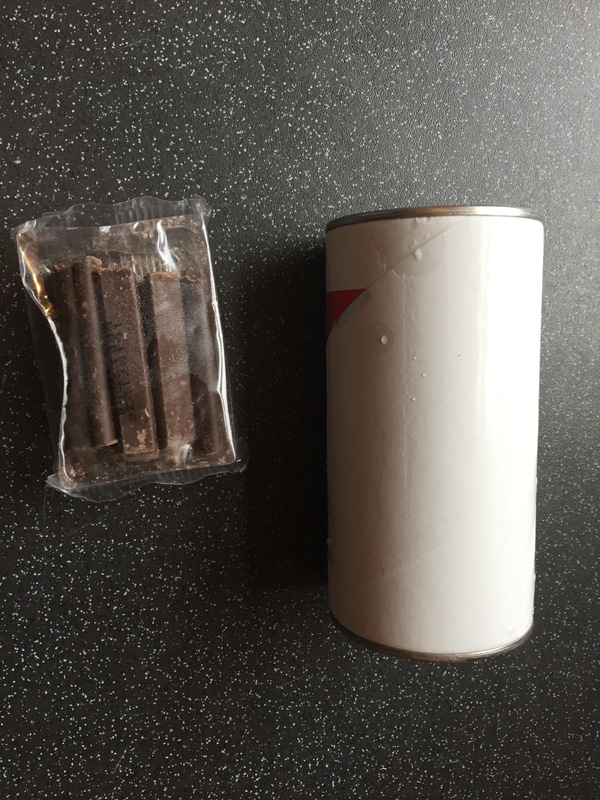 They come in a box and inside the box is a tube and a packet for the chocolate. 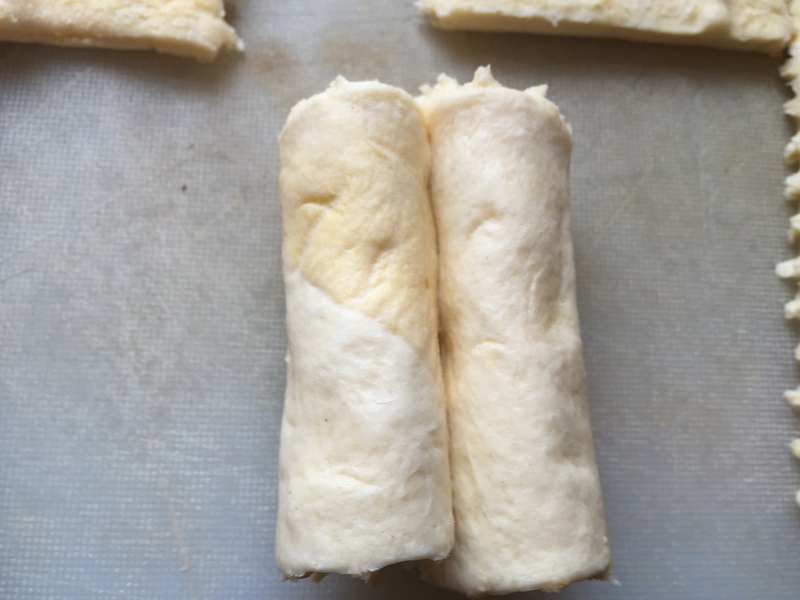 Opening the tube is pretty straight forward and then you unroll the pastry, separating the individual pastries by cutting along the perforated edge. 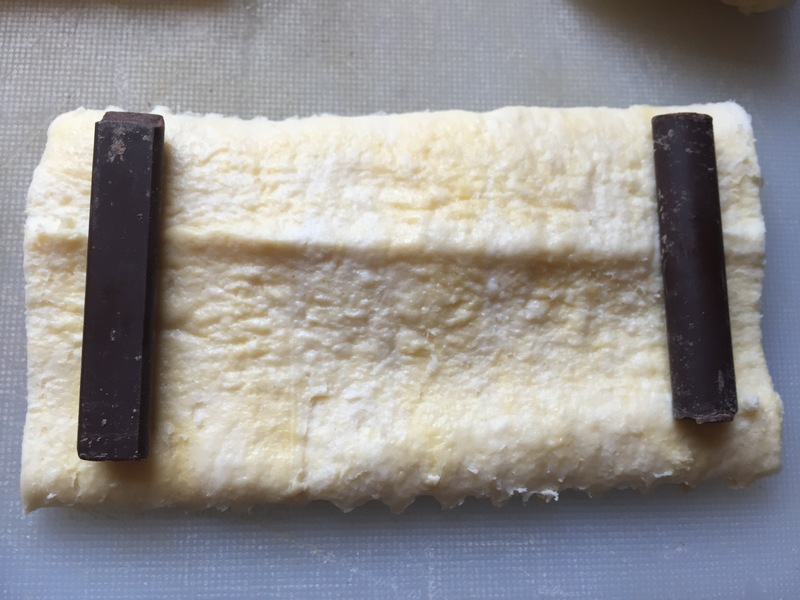 Then you put two pieces of chocolate at each end. 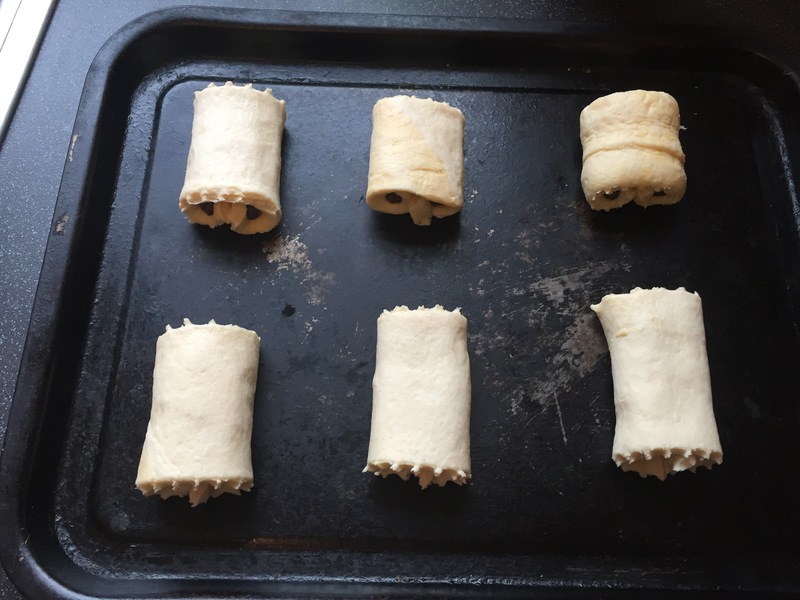 And roll from each end into the middle. Then you place on a baking tray with the crease at the bottom and if you want a golden glaze (who doesn’t want a golden glaze?) 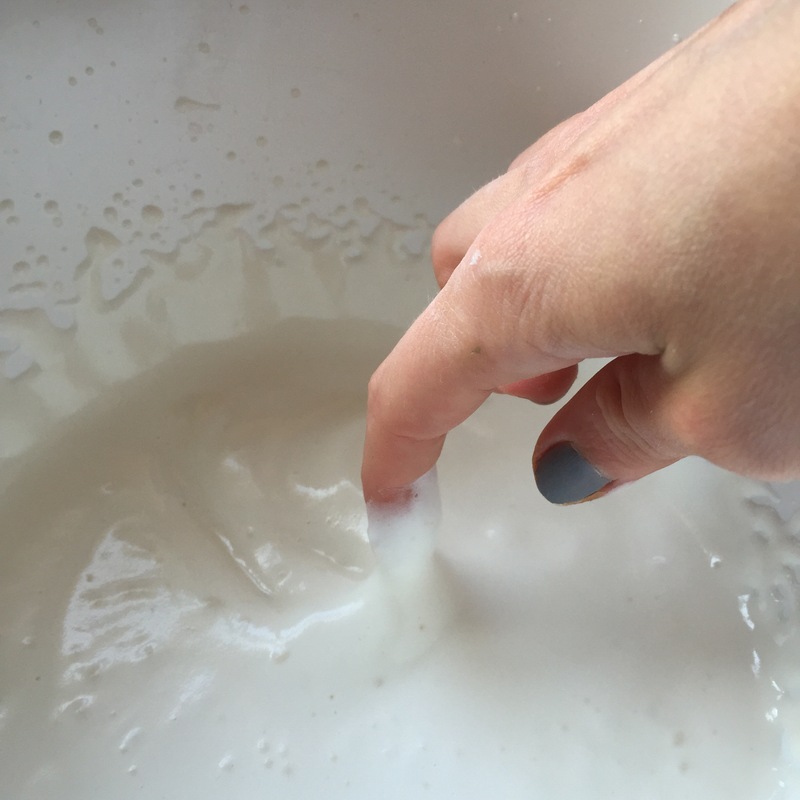 you brush soya milk on the outside. 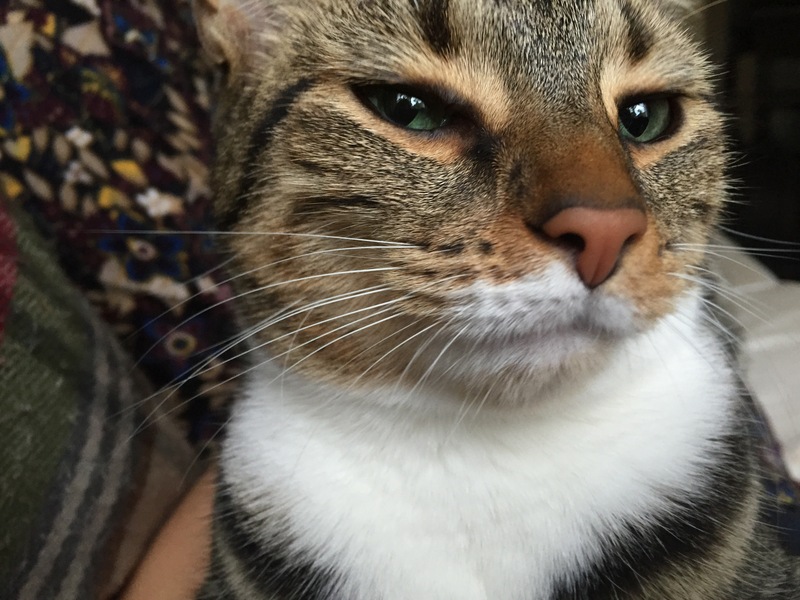 Pop in the oven at 200c for 12 minutes and go hug your cat. As you hug your cat enjoy your ordinary house being transformed into a French patisserie as the sweet aroma of baking envelops your home. After 12 minutes take them out the oven. The only down side is that they don’t keep well so you need to eat them with at least one other person or you’re in danger of polishing off six on your own. I shared with Andy who agreed they were utterly delicious! I’ve been hearing good things about Mantra Thai for a while so decided to give it a go on Thursday night with the Husband before seeing the Nick Cave film (which is AMAZING btw). 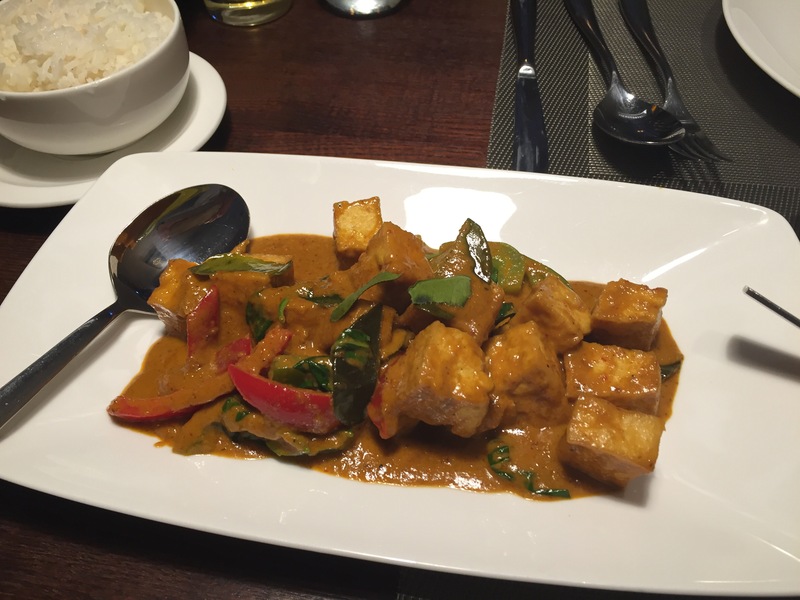 Thai food is often a good option for vegans as they don’t use a lot of dairy products so you can usually have most of what is on the veggie menu and Mantra Thai’s veggie menu is vast with dishes to cater for all tastes. I spent ages trying to decide what to have as I actually wanted it all, and just when I was about to order the fried aubergine the waitress came over to say that we could have anything on the menu with tofu. Imagine that a whole menu to pour over! (Andy had decided what he wanted in about ten seconds flat so was not as enthusiastic about this as me). 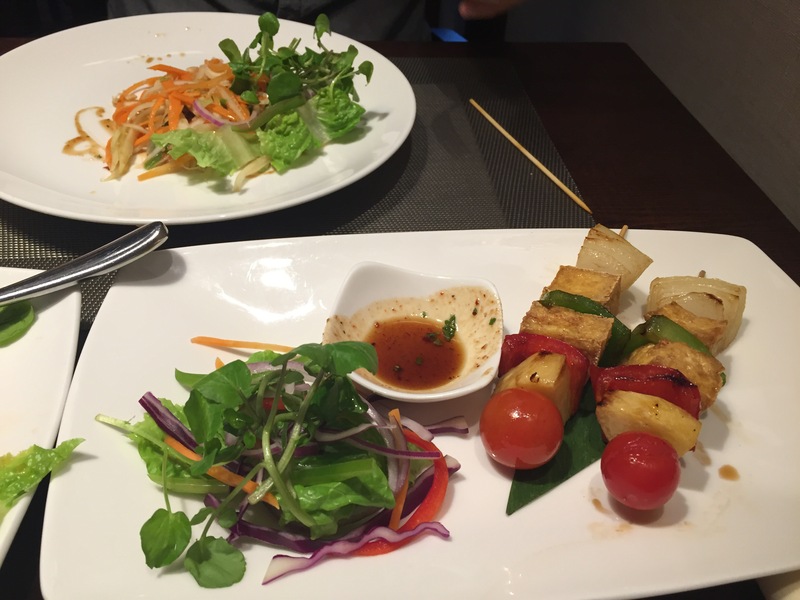 Eventually we ordered the papaya salad and the BBQ tofu skeweres to share as our starters and we both went for the panang as a main, Andy ordered it hot with butternut squash and I ordered medium with tofu. The food came quickly and the portions we big. 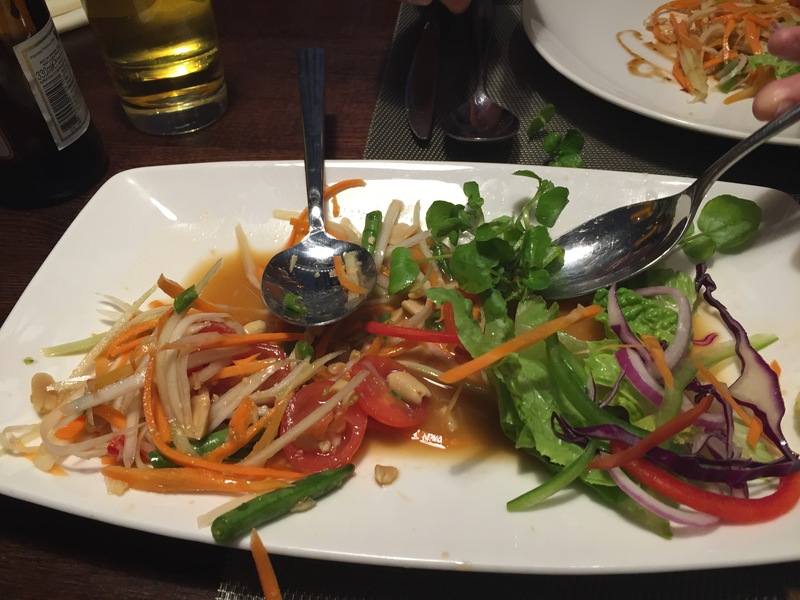 The papaya salad was beautiful, it had a light lime dressing which was deceptively spicy. Both me and Andy found it to be very hot but not in an unbearable way. The spice crept up on you until you were a bit giddy with a streaming nose and a tingling tounge but unable to stop pushing more in your mouth. I will definatly order this the next time! 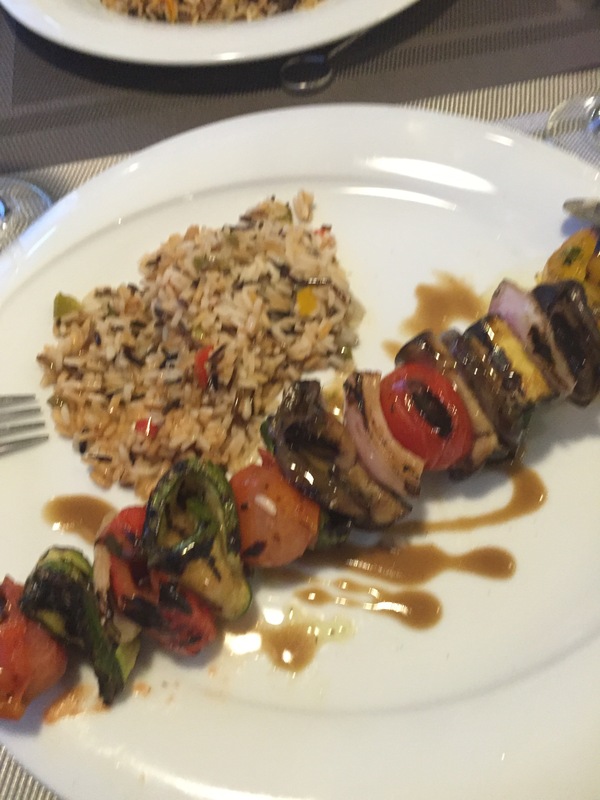 The skewers were also a delight. 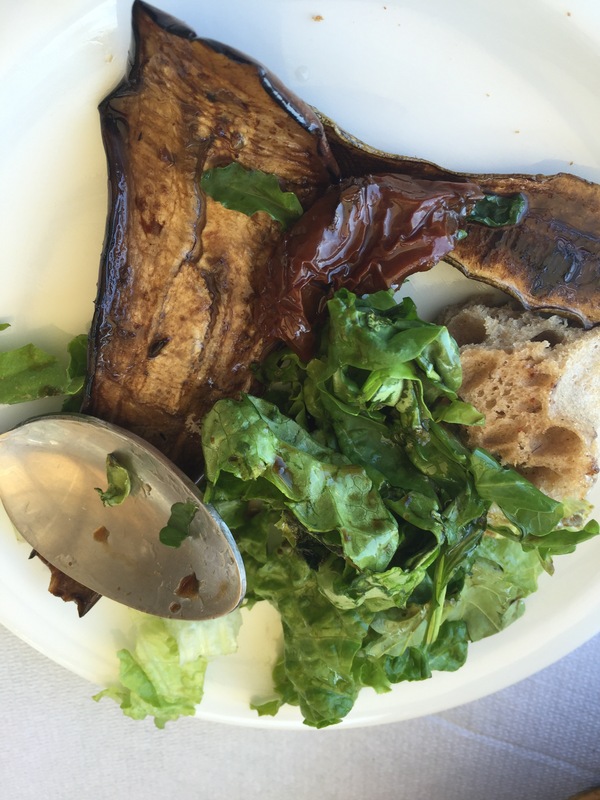 The tofu was crispy on the outside and soft and silky on the inside (how do you do that? I can’t even get tofu out the box without it falling apart). We got four skewers so they are perfect for sharing. They were light and the bbq sauce was flavoursome without overpowering the gentle flavours of the vegetables. Lovely! 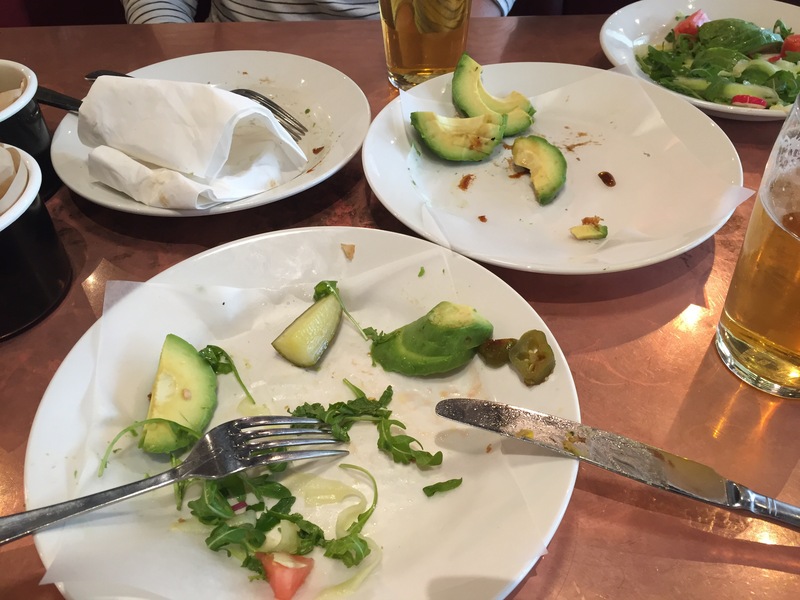 We ate everything on our plates including the side salads in almost complete silence, just the occaisonal negotiation about how many tomatoes we had left. Then our mains arrived. Oh happy days! Again the tofu was cooked to perfection and the portion size was just right, we shared a Jasmine rice which was exactly the right amount of food. I tried Andy’s butternut squash and though it was well cooked, I’m not a fan of butternut squash, so I’m glad I got the tofu. I was also pleased I ordered medium rather than hot as my tastebuds needed a bit of a break after the papaya salad. The curry was tasty without being overpowering and just the right amount of fat. We still had some time after our meal before the film so I ordered one scoop of the mango and passion fruit sorbet and Andy got a coffee. 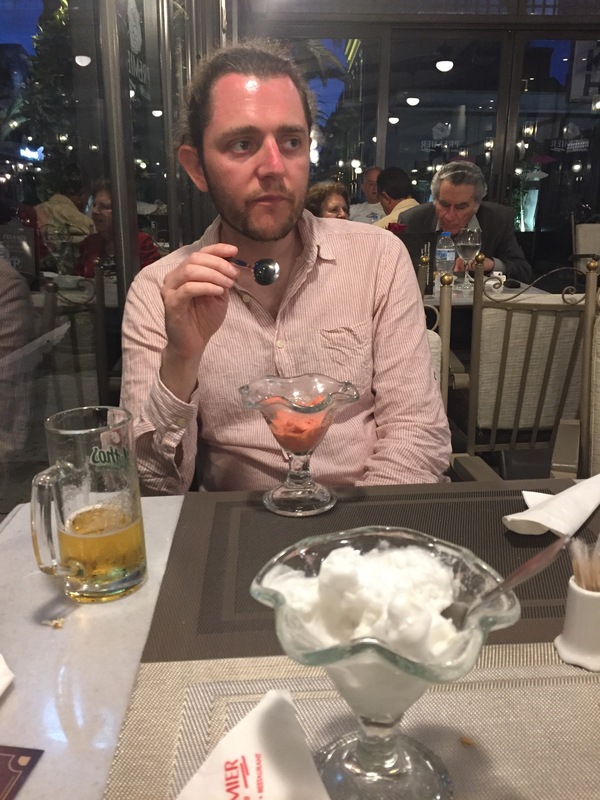 I was impressed by the sorbet which had pieces of real fruit in it and was the right blend of tangy and sweet. 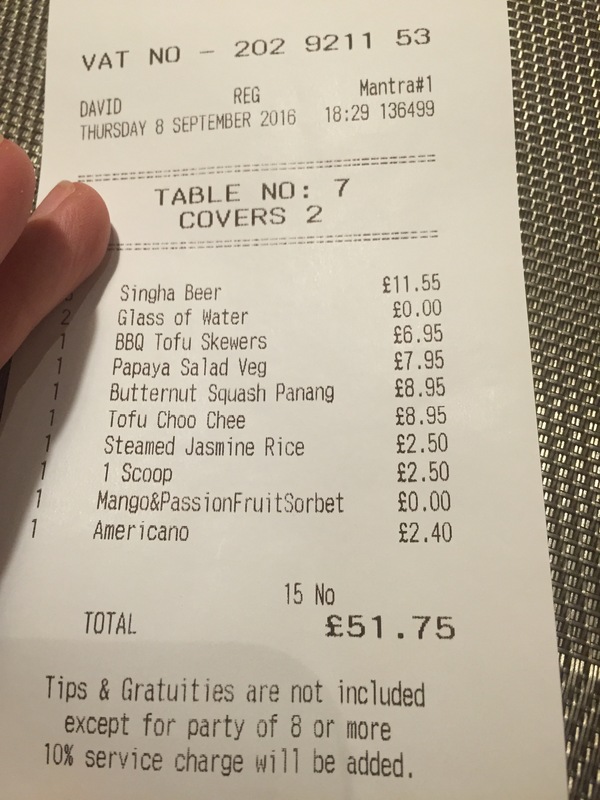 The whole bill came to £51.75 including 3 beers (between us not each) which I felt was reasonable for the amount we ate and the level of service we got. 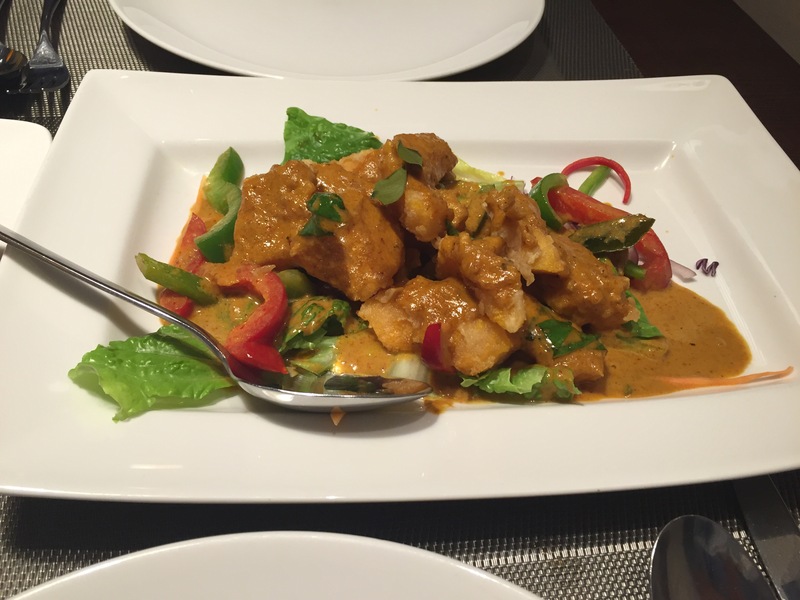 I will definatly be returning to Mantra Thai to sample the rest of the menu! If you’d told me a year ago that The Ship Inn, the staple old man pub of the Ouseburn would go fully vegan and be the new hot spot of the valley I would have laughed at you, but here we are sitting in a very smartly done out pub looking at the fully vegan menu and the sign definitely says ‘The Ship Inn’ above the door. This is our second visit since it has gone under new management and I have to say that it certainly won’t be our last. 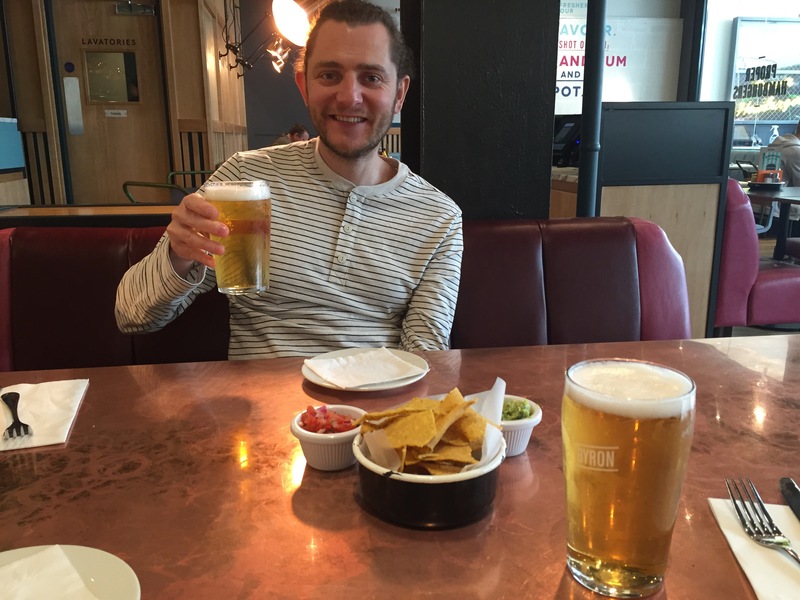 The atmosphere is friendly and laid back and the clientele is a combination of dog owners, vegans and regulars from the old management. On our first visit we sat outside in the beer garden which is a sun trap and ate outside but on this visit the rain has meant we have retreated inside for a game of connect four (provided in a pile of board games in the corner) while we wait for our food. 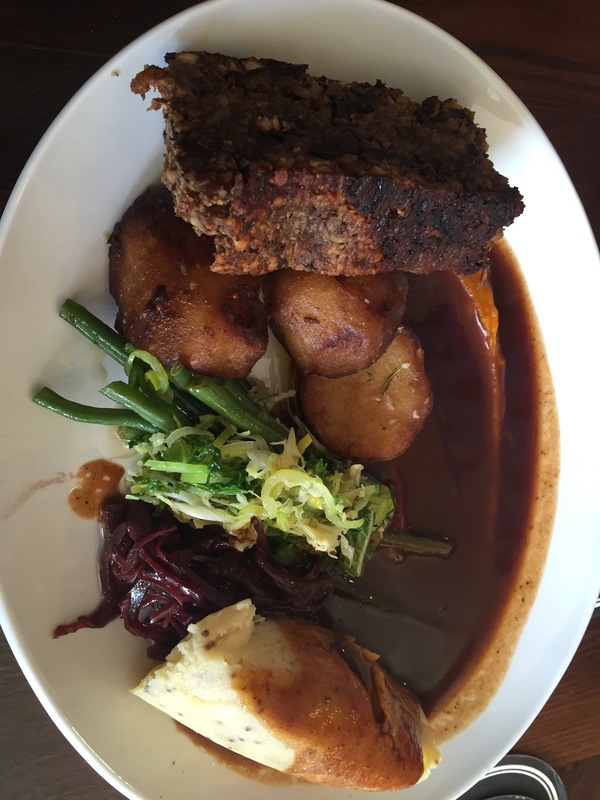 On both visits we have gone for the Sunday dinner option and what a dinner it is. 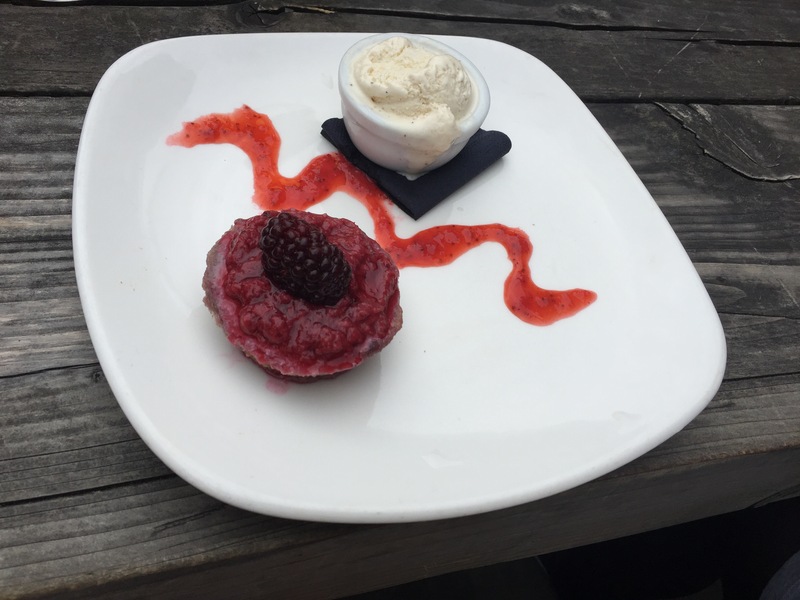 Often when you get a vegan Sunday Dinner you are basically given a Sunday Dinner without all the good bits but The Ship Inn has successfully managed to make stars of what are usually the supporting cast. The braised cabbage is incredible, like cabbage has spent its entire life on the sidelines learning the lines of the starring role waiting for its turn in the spotlight and its time to shine, and shine it does, it’s lightly pickled and exactly the right level of crunch. The first time we came we got a tomato sauce instead of a gravy and it was utterly delicious, now I love my gravy so to say that I don’t mind getting a replacement is quite the testament to how good the replacement must be. On this visit we got a red wine gravy which was thick, tastey and full bodied, not falling into any of the usual traps that vegan gravy can sometimes succumb to. 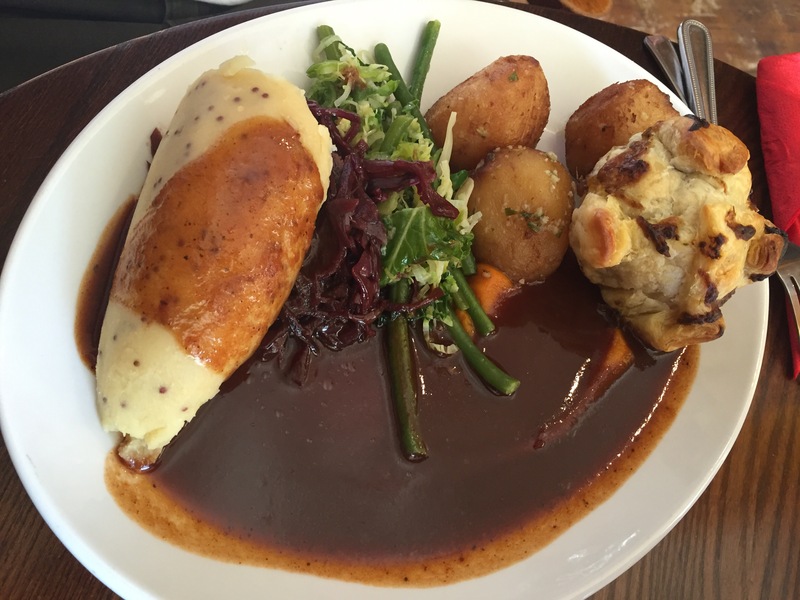 I got the nut roast both visits but Andy went for the Red Onion Wellington this time and we shared. 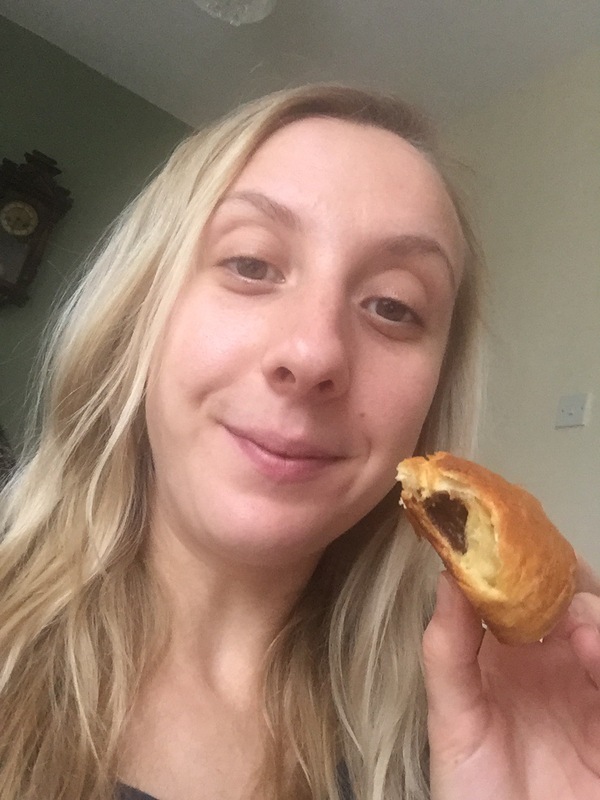 The pastry on the Wellington was light and crumbly and it filled the gap that is left by the lack of Yorkshire Pudding on a vegan Sunday Dinner (not the Ship Inns fault I’ve yet to encounter vegan yorkshires). If I had to nit pick I’d say the Wellington was on the small side but that’s because I’m greedy and it was so delicious I could has easily eaten two in a row without stopping for breath. For pudding on our first visit we had a cheesecake and a chocolate brownie sundae but we were too full on our second visit to indulge. (So maybe the Wellington is the right size after all). 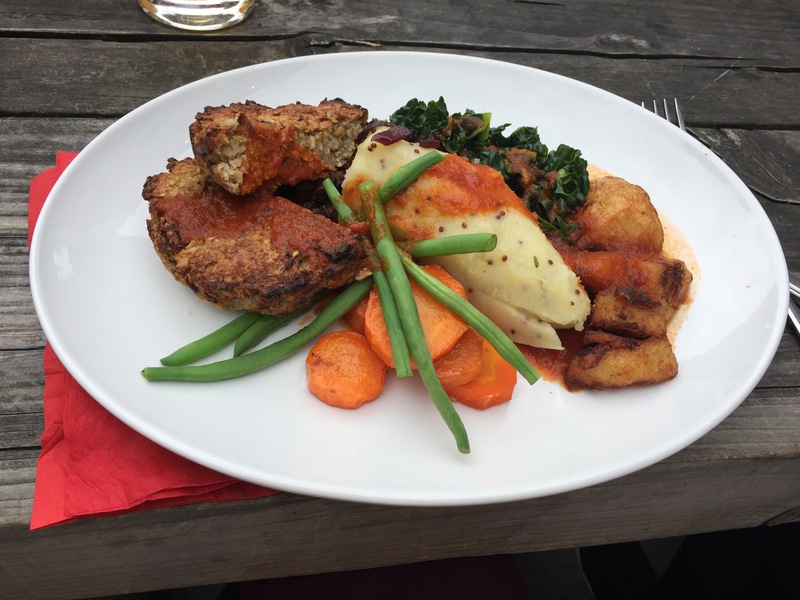 I am very impressed with the food here and it’s so exciting to have a vegan pub on our doorstep, I throughly recommend that you go down and try it out. 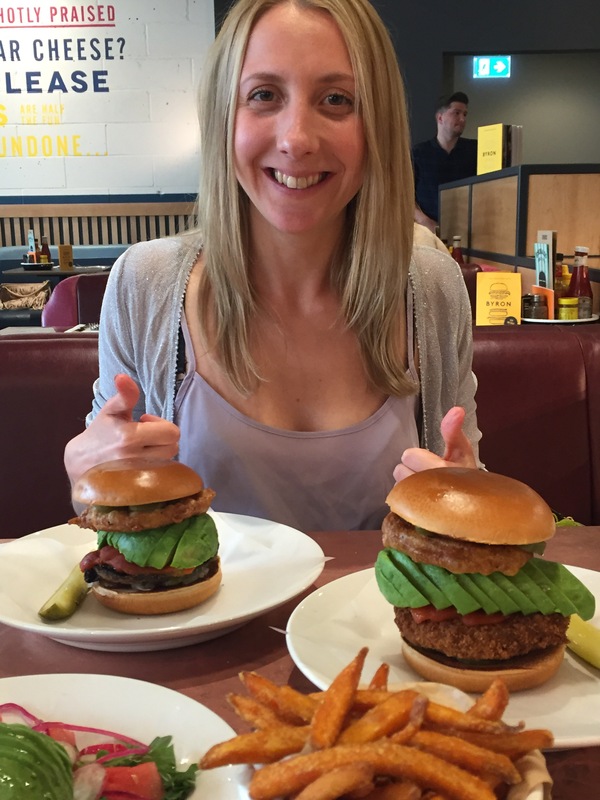 I really hope that it is as successful as it deserves to be and even non vegans give it a go to see how easy and delicious cruelty free eating can be! 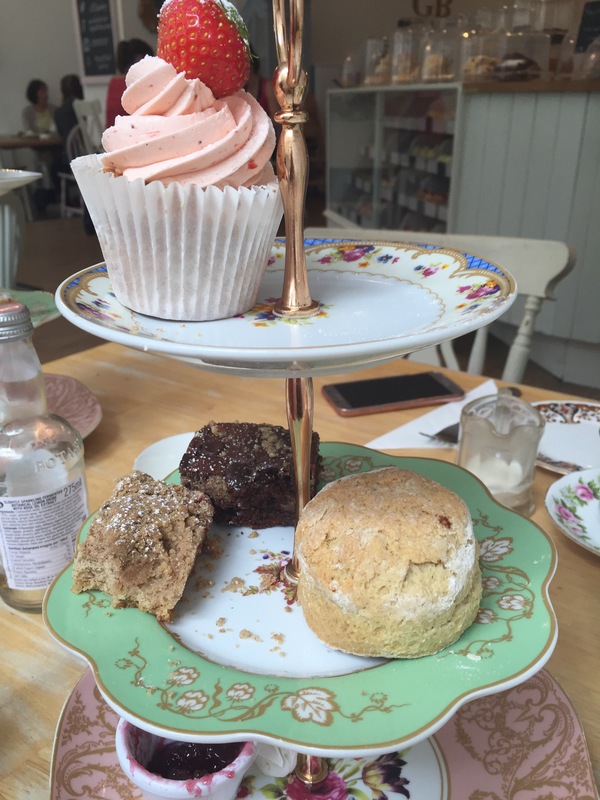 It was my birthday last week and I was really excited to try the vegan Afternoon Tea at The Great British Cupcakery. 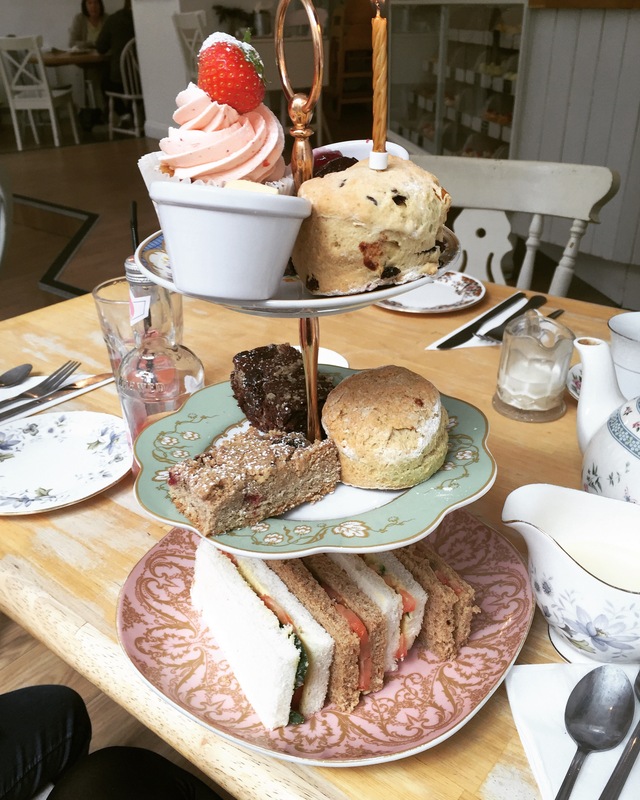 Before I went vegan I used to love Afternoon Tea but haven’t managed to find anywhere that doesn’t feel like you are being short changed on the cake front when you get the vegan option. 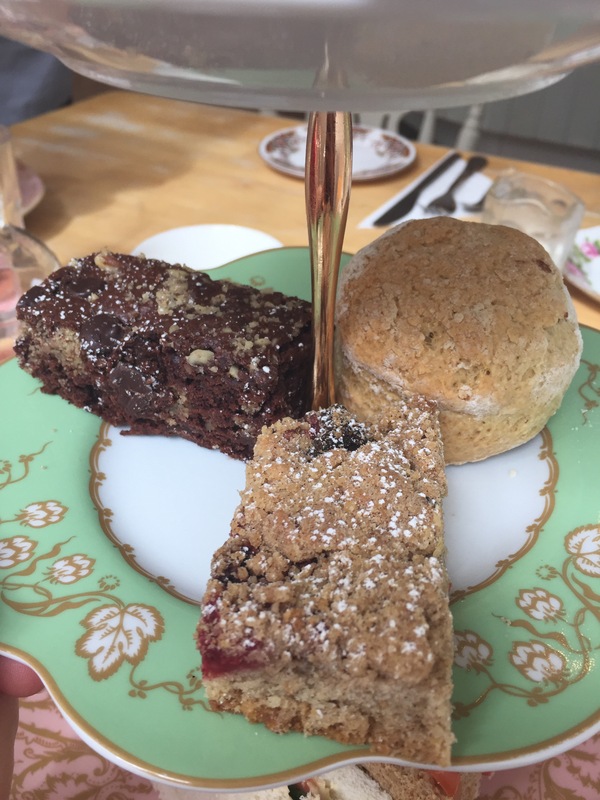 I found out about the Great British Cupcakery’s Vegan Afternoon Tea by chance, one of my yoga peeps is a cook there and also a vegan so we often chat about where to eat. I was lamenting the lack of Afternoon Tea options and she said that The Great British Cupcakery do them, as she is a vegan herself I knew she would understand the struggle so I booked myself in straight away! Everything is made to order so you need to book 24 hours in advance and it costs £19.95 for adults and £9.95 for little ones. 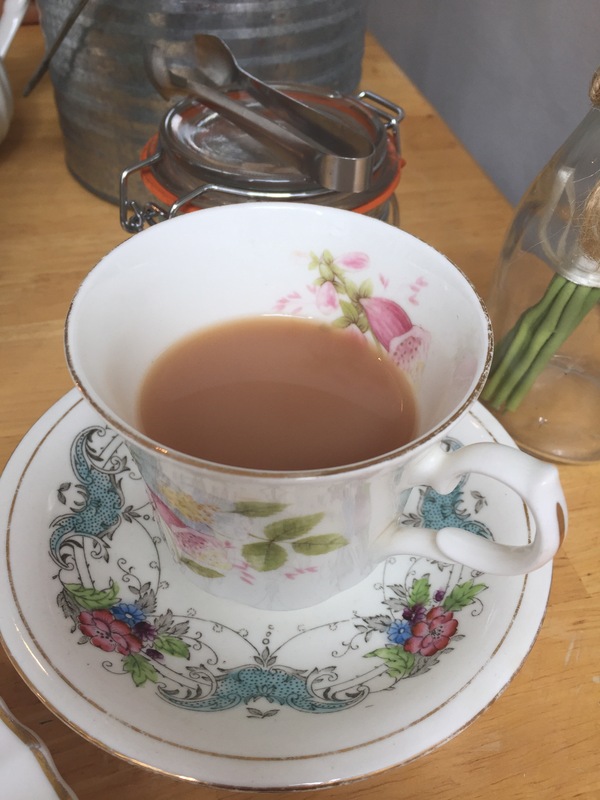 When we arrived we had a table waiting for us and they had set out lovely little tea sets for each person, I ordered tea, my sister ordered the coffee and my niece had a rose lemonade. 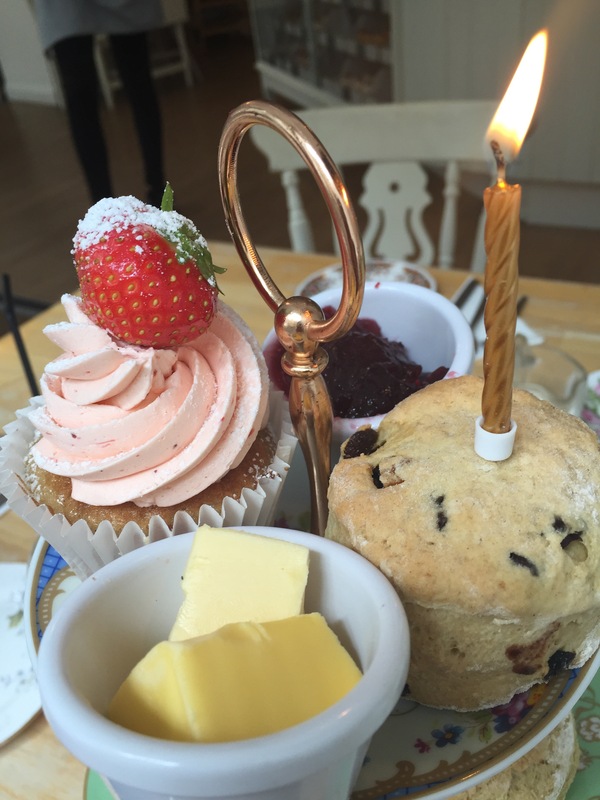 Our teas came out very quickly after that and mine had a birthday candle in which was a sweet touch. It was so much better than expected. Let’s look at it layer by layer. 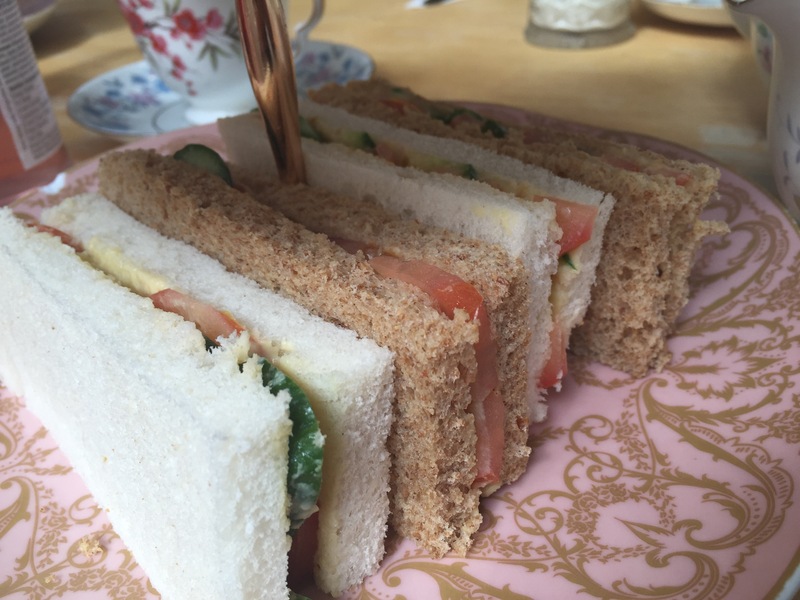 Sandwich layer of cucumber, tomato and hummous sandwiches. These were delicious and my sister felt jealous that there wasn’t one on the non vegan option. Next layer was a gooey brownie, crumbly flapjack and a plain scone. 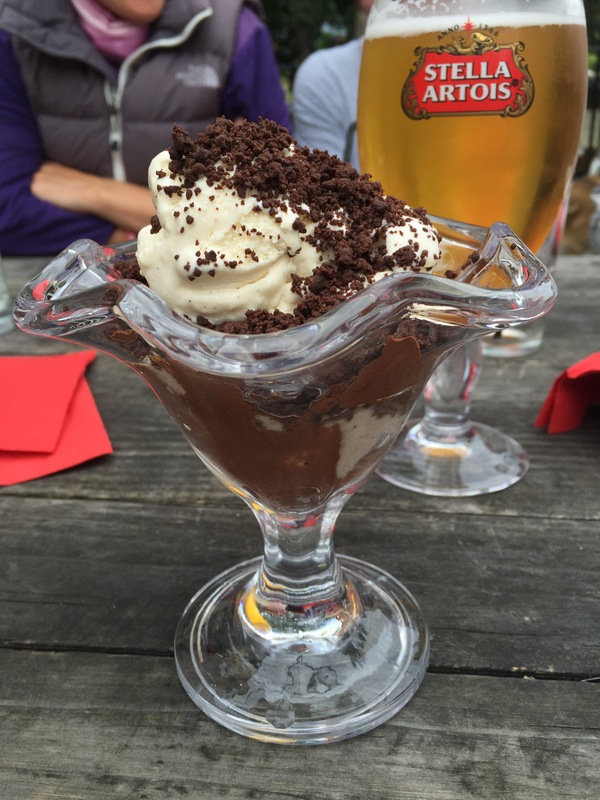 The brownie was the highlight of the whole meal for me! Then we had a strawberry cupcake, a fruit scone and some jam and spread. The cupcake was really good, it was light and airy which just a faint hint of strawberry. I didn’t manage to eat it all, in fact I barely made a dent in it. However I’m a firm believer that half the fun in afternoon tea is taking most of it home and eating it in front of the telly. 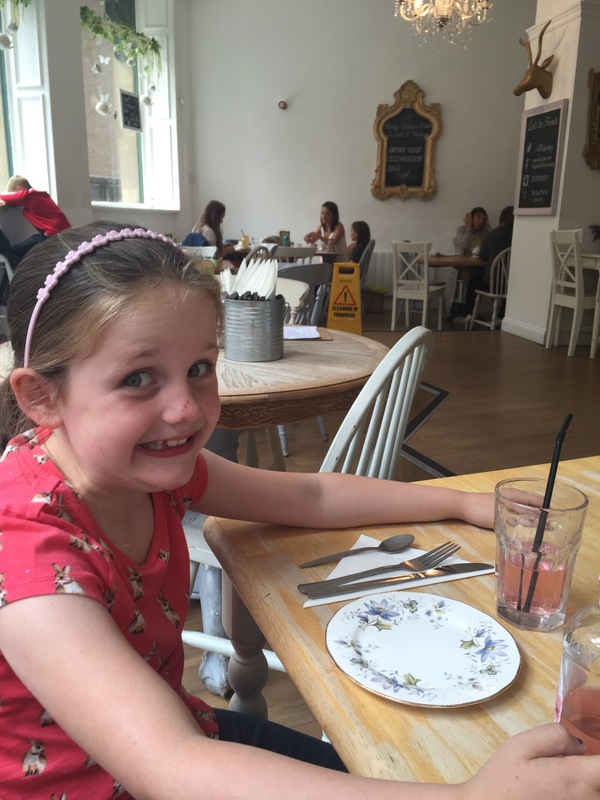 We had such a lovely afternoon and the kids afternoon tea was such good value, I can imagine it would be a fab place for a teenagers party. They don’t do champagne afternoon teas but you are welcome to bring your own bottle for £5 corkage. I would have done this if I hadn’t been working later on. 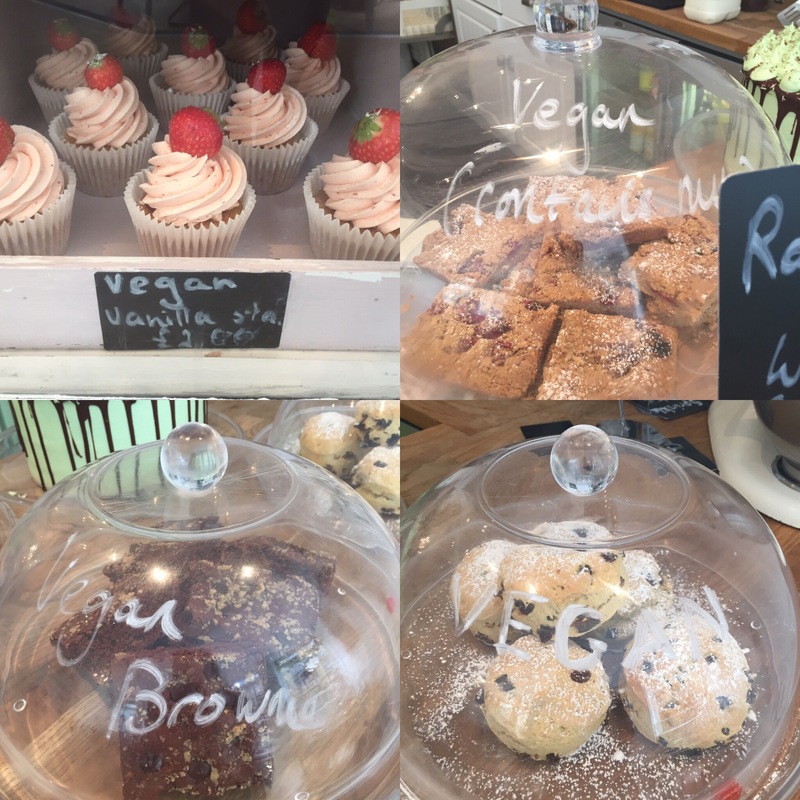 I am so happy that The Great British Cupcakery are catering to vegans so well, the vegan option was just as good as the normal version and I am sure that when word spreads they’ll be inundated which vegans from up and down the land! They also sell vegan cakes to buy at the counter but once these run out on the day they are gone so it might be worth ringing beforehand to check they have some left to avoid disappointment. 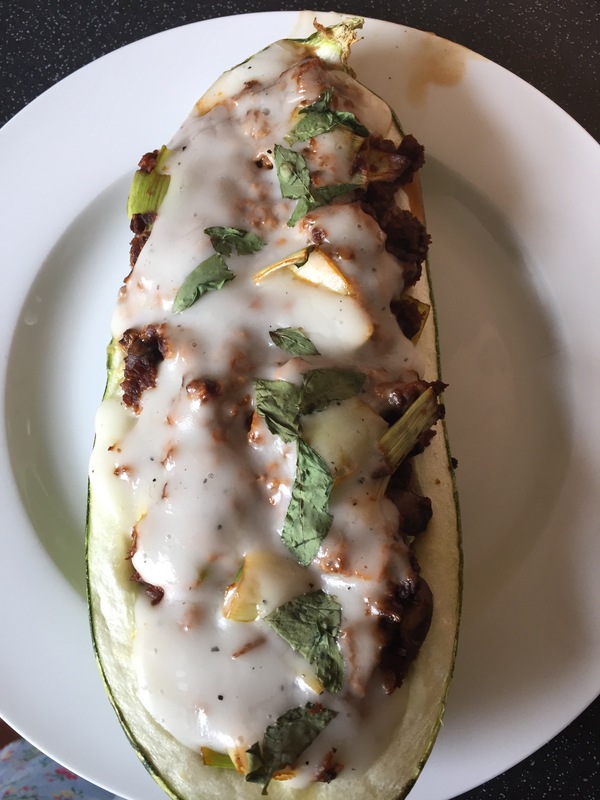 If you’re looking for a lovely Sunday evening tea, a delicious summer supper or something easy to serve to guests, look no further than the lowly marrow. 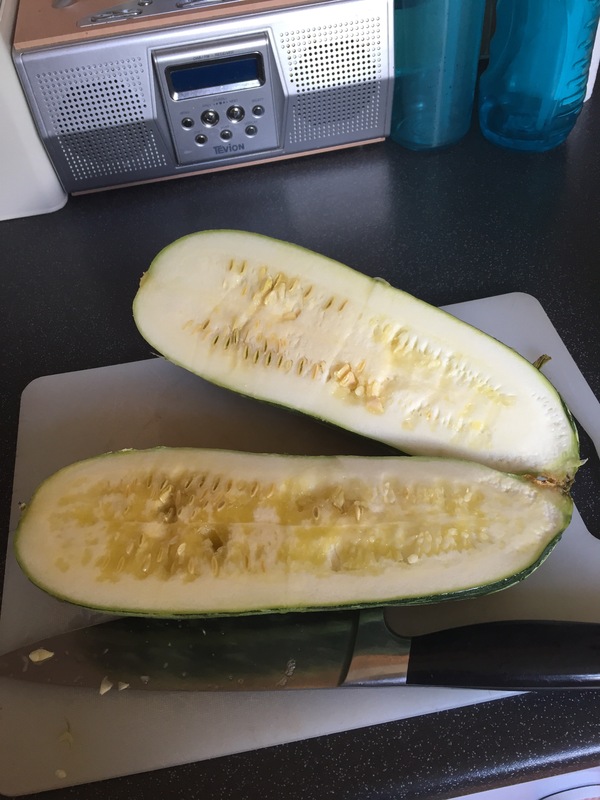 I whooped with joy when I saw marrows for sale in tesco, as they aren’t available all year round and therefore are even more of a treat. Also there are some incredible wild mushrooms available right now too which gives this dish an earthy, meaty kick. If you are looking for a healthier or cheaper version of this recipe go for green lentils instead of the soya mince and omit the white sauce, but I was going for pure Sunday evening decadence with this. 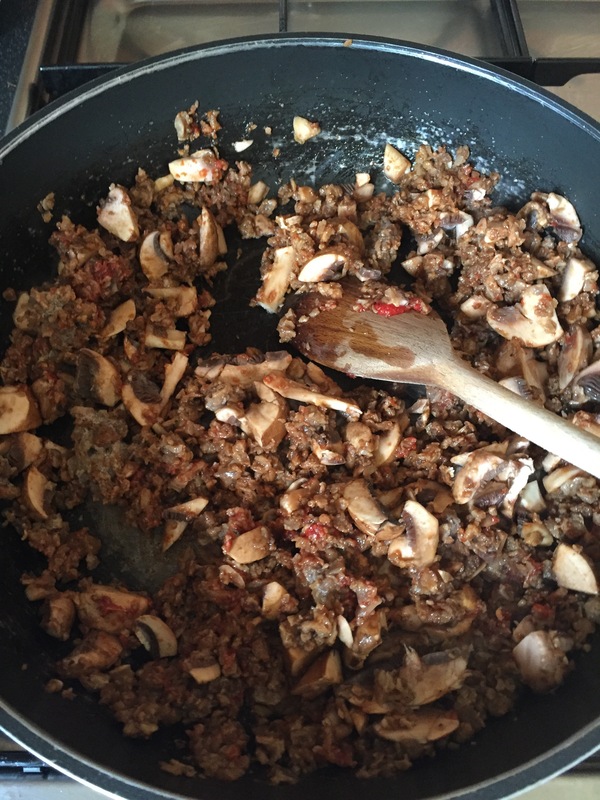 Meanwhile fry tomato purée, leek, chopped mushrooms and soya mince in pan with olive oil, Bisto granules and a splash of liquid smoke. 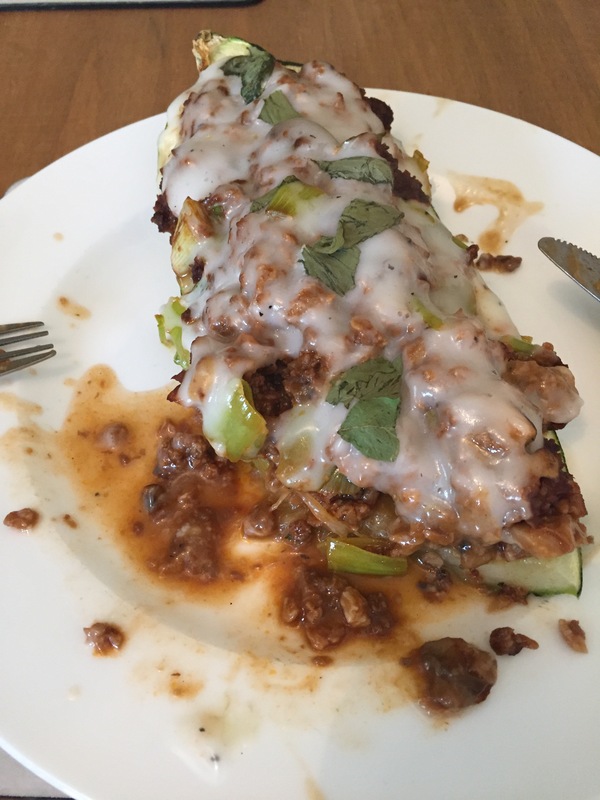 Once marrow is heated through scoop out seeds and fill with mince mixture, cover with white sauce and season with basil if desired. And there you have it, a ridiculously simple, delicious and easy vegan meal. Avoid it for as long as you can but there comes a time in all Geordies lives when you must make the perilous journey across the river, through A1 roadworks and visit that desolate land, The Metro Centre. You can only put off the inevitable for so long before your ikea lamps need bulbs, and your desire for cheap storage boxes from The Range becomes too strong and you are forced to go. The metro centre is not a place I equate with good food in my mind, I spent a great deal of my adolescence working in the metro centre, first for a designer men’s clothes shop where I would grab my lunch and sometimes dinner from Greggs, and then for a sit in fish and chip resteraunt where becoming sickened from serving fish and chips all day I would eat sausage, bread and gravy in a staff room that stunk of regal king size (oh to be young again!) On reflection, I don’t think I have ever eaten a vegetable in the metro centre unless mushy peas count. However all this has changed. 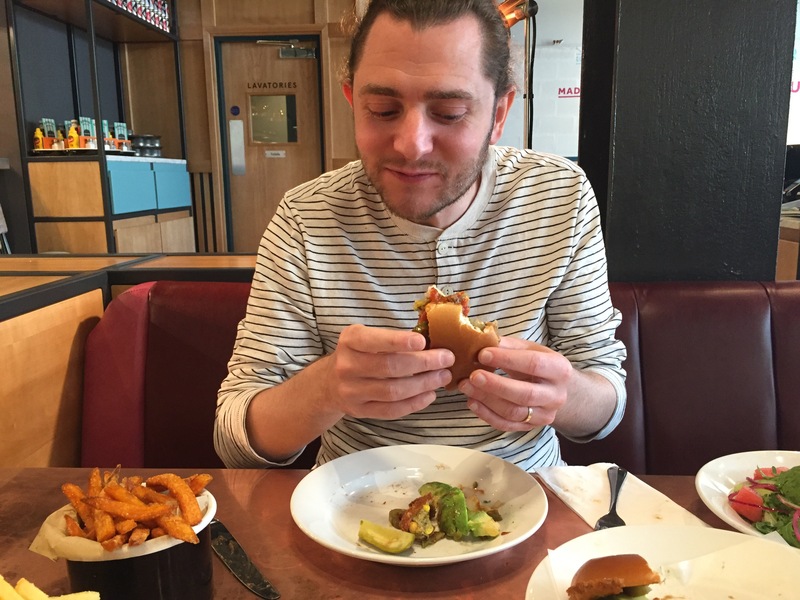 Recently the yellow quadrant has expanded to accommodate a host of upmarket chain eateries, and during our recent jaunt to the land of strip lighting we decided to go for a bite to eat in Byron Burger. Byron Burger is actually the last on the strip before you reach the shops again, and it’s set a little back from the other restaurants, though I prefer it this way as it means it’s quieter, it’s a shame for the resteraunt as it deserved to be much busier than it was. We told the server that we were vegan and they took great pains to explain everything on the menu we could have. 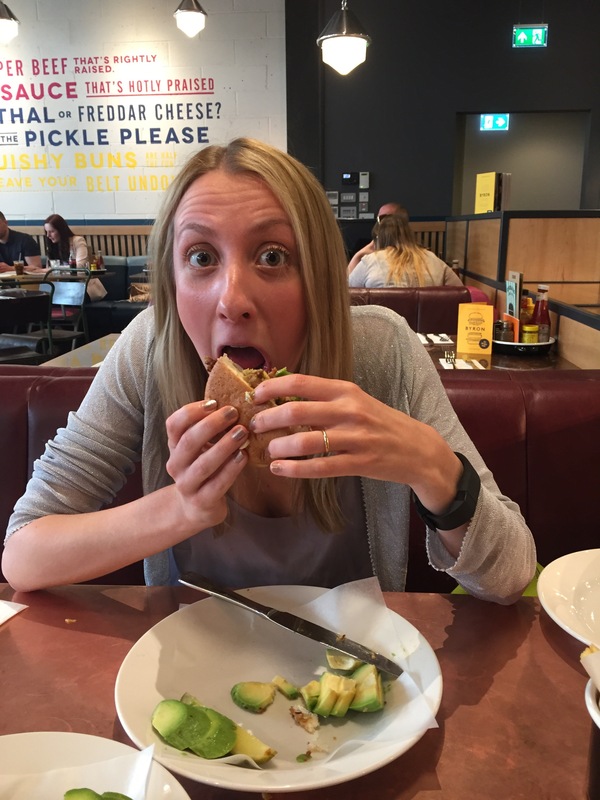 On the face of it it appears that the vegan options are very limited but once she had explained that we could have any burger and just swap it for either a bean pattie or a portebello mushroom then that opened up way more options. 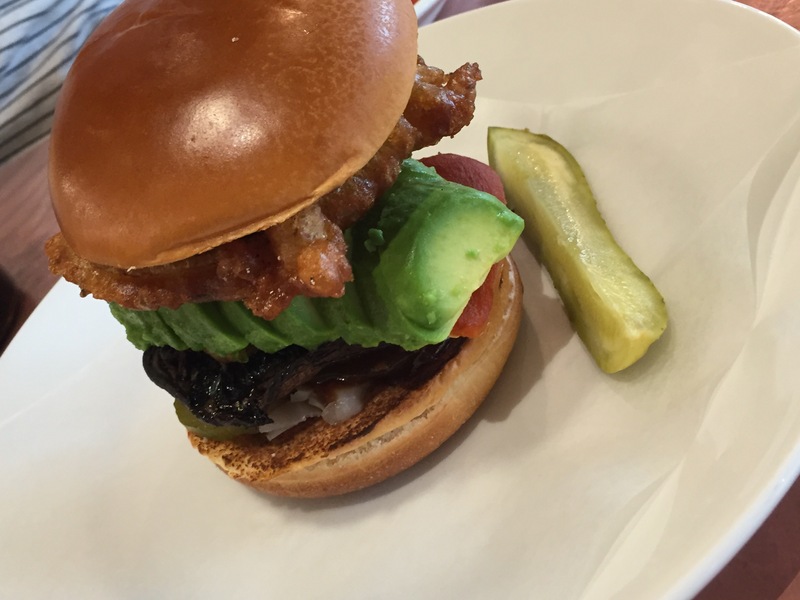 It’s worth noting too that all their buns are vegan too so you don’t need to worry about that. 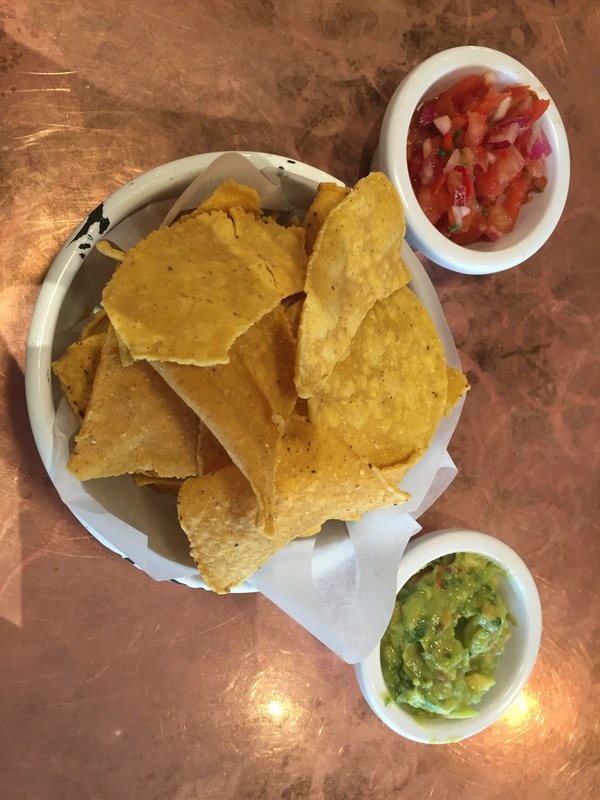 We went for the tortilla dips with salsa and quacamole to start. I’m not a massive fan of tortilla chips, I can take them or leave them. They are just a vehicle for dip really, but these were lovely and the dips that came with these tortillas were amazing. The salsa was more of a refreshing cool salsa than a hot dip but this is exactly how I like it. The quacamole was very tasty too, chunky and just the right consistency to fit on your chip. For the main even we both ordered something called a B Rex, but Andy swapped the burger for a mushroom and I had a bean pattie, then we swapped the bacon for avocado, the cheese for red pepper and omitted the mayonnaise, apparently you can do this with anything on the menu for no extra charge. The staff were so nice about this and weren’t put out at all, there’s nothing worse than feeling like a pain in the bum when you order. Our food came very quickly. Is there a single more beautiful sight than your order on the counter waiting to come to you? I think not. It became apparent immediately that we had underestimated Bryon Burger’s portion sizes. Normally when you ask for a side of avocado you get a measly slither of a avocado, not an entire avocado. I’m not complaining, I’m far from complaining. 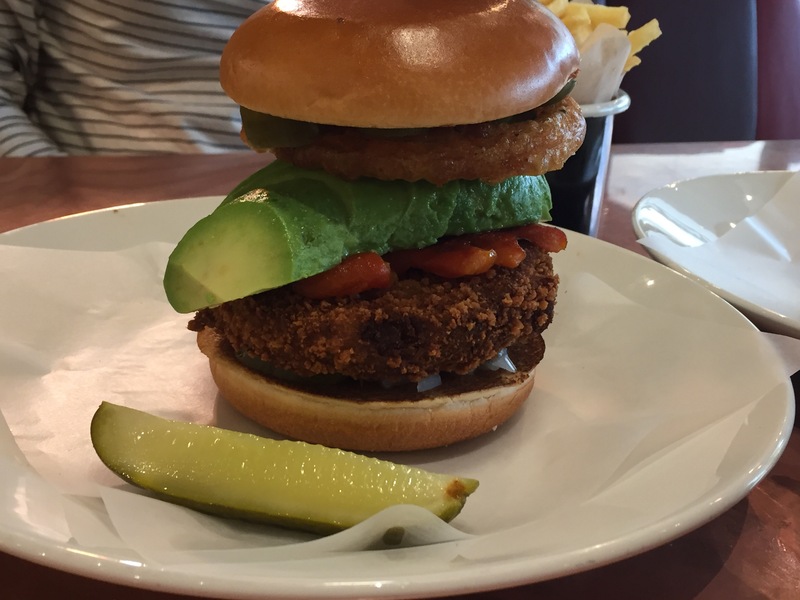 It brings a tear of joy to a vegan eye to see that much avocado in one sitting, finally somewhere that understands. As usual we ended up halving them and having a bit of both, the bean burger was nice but the mushroom really blew my socks off. This is not a first date restaurant mind, you can’t eat the burger daintily. The sides were also excellent. 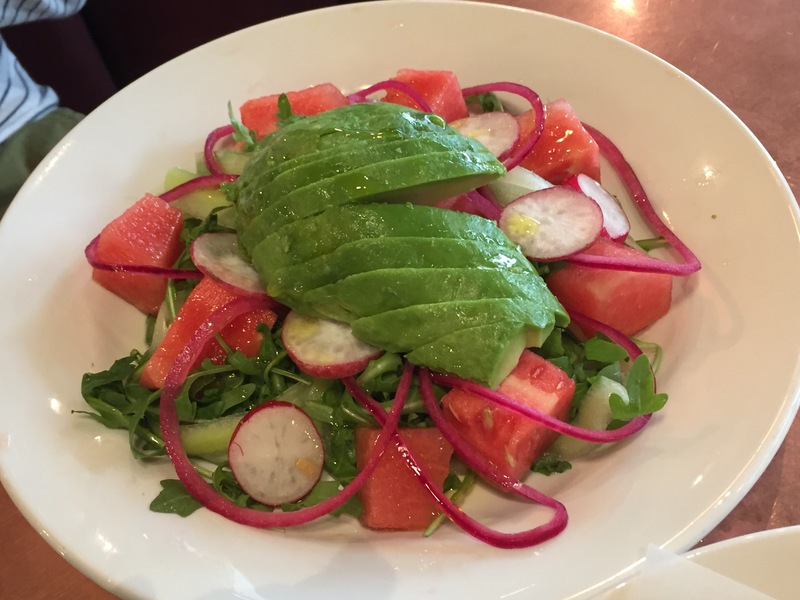 I really liked the pickled red onions in the salad and the chips were perfect. For the first time in our entire lives we were defeated by the amount of avocado, this literally never happens, ever. We ate forever and we still had some left! Luckily though the server asked if we wanted a doggy bag, which I would have asked for anyway but I really appreciate it when a server gets in there first. Me with my takeaway left overs that will by mashed in rye bread for tonight’s tea. A vegan can’t see avocado go in the bin, it’s not right. 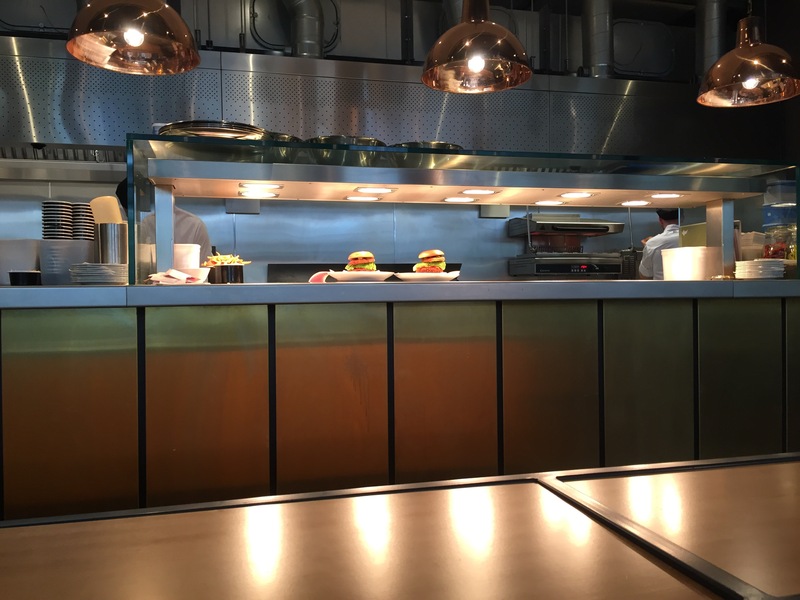 I was really impressed with Byron Burger. I am always on the look out for places that you could go in a large group and satisfy everyone. I don’t think we’ll ever be able to go to the metro centre again without stopping by. 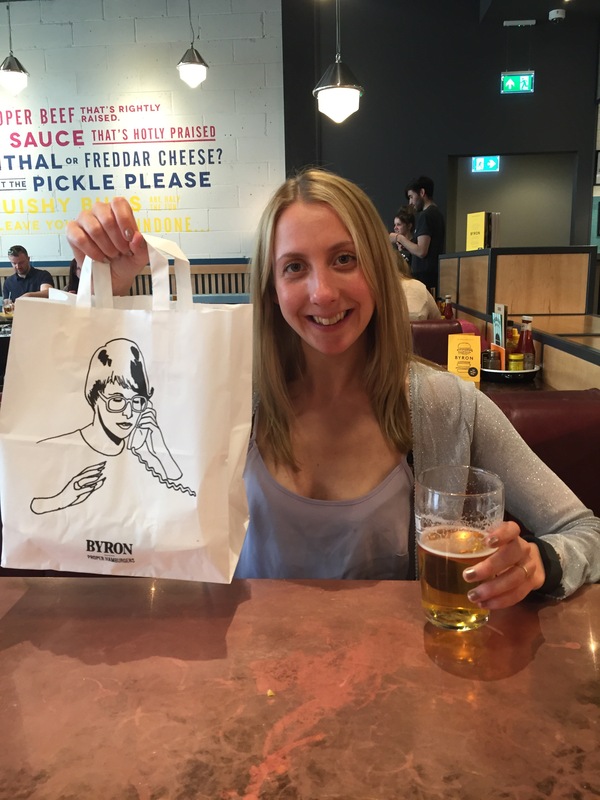 So if you have anything you need to buy from ikea, soften the blow with a meal in Byron Burger! 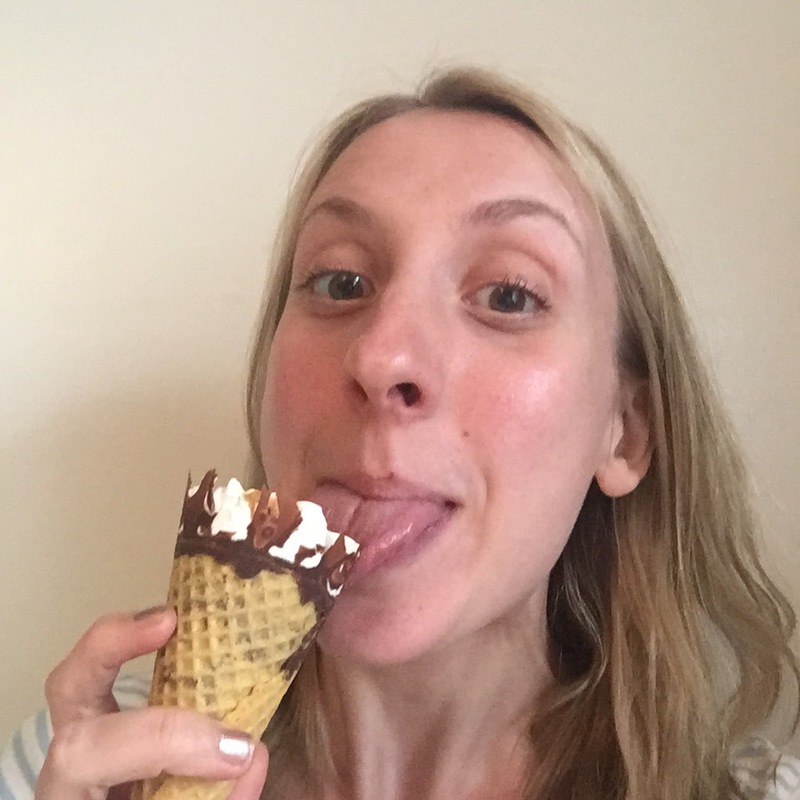 To the yogi who tried to make me feel bad for eating an ice cream on Instagram. I don’t know you, I’ve never met you, I have only seen the little tiny portion of your life that you’ve decided to share on Instagram. This is also the same for you with me so I was a bit surprised this morning when you decided to have an opinion on my choice of ice cream. Now let’s get a few things straight, I might blog about being vegan but I do not claim to be an expert on nutrition nor do I put myself forward as a shining example of clean eating. I like to share pictures of vegan food because I find it exciting to see that you can live a full, healthy and happy life without harming animals. I am aware that even if only one person reads my blog, (and I’m pretty certain that only one person reads my blog, Hi Mam), then I don’t want to pretend I’m something I’m not. There’s enough skinny white blonde women telling people what not to eat without me adding my voice to the noise. I like to share food that makes me happy, quite a lot of this is healthy food because eating healthy makes me happy, but guess what?? So does eating an ice cream from time to time. I don’t need to justify myself, even if I ate only ice cream and drank soya milkshakes instead of water, bathed in coconut cream and used sugar as toothpaste, I still wouldn’t have to justify myself. The fact is though that I eat a healthy diet which is low sugar and high in nutrients, I eat well over 8 portions of vegetables a day, I’m careful to get my protein and I truly truly love my food. I say this because it wasn’t always the case. I suffered with bulemia from the age of 11 right up until my early twenties, it’s hard to write this because not everyone knows, and there’s part of me that feels like admitting it is admitting to a failure, that people will think of me differently after they know. Recovery has been hard and it has taken me years to get to the point where I can eat a dessert and not feel guilt so bad that it physically shakes my body until I throw it back up, but guess what? I’m there! So when I post the picture of my ice cream that arrived in my shopping today, the ice cream I’m going to share with my husband cuddled up on the sofa, the ice cream that I’m going to savour and enjoy and not feel guilty about at all, when I post that picture and you point out the sugar content all I can say is screeeeeeeeeeeeew you! I was going to save it for a treat, but do you know what? I’m going to eat it right now! 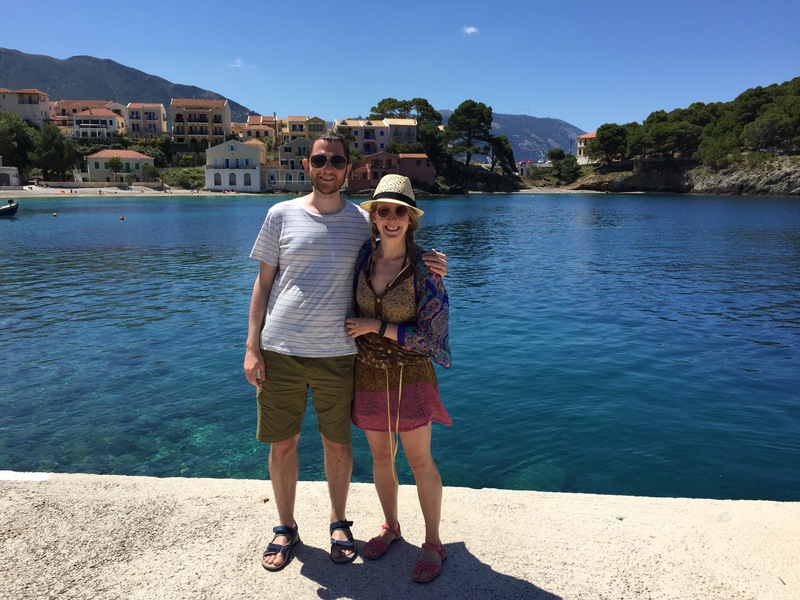 We’ve just come back from an amazing week on the island of Kefalonia in Greece. We had sun, sea, sand and loads and loads of good food. I think between us we must have eaten at least a bottle of olive oil, and oh the vine leaves, and the tomatoes, take me back now! 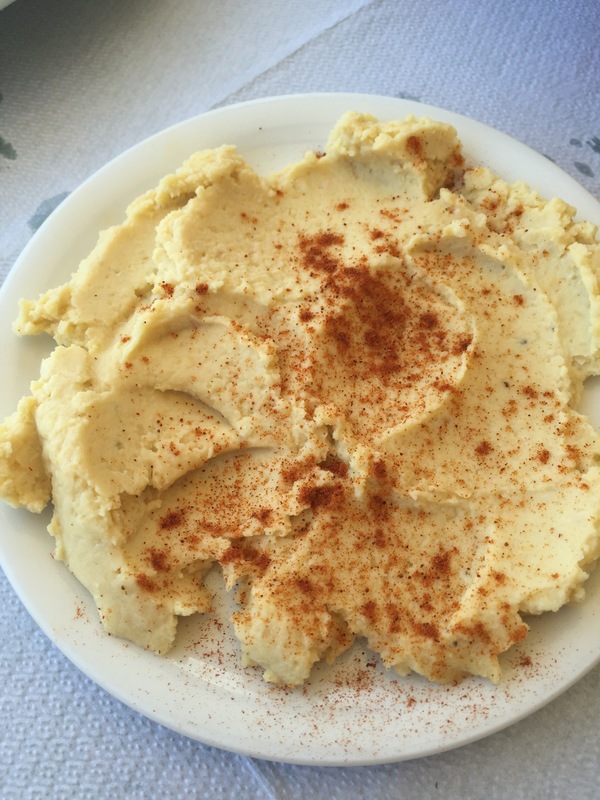 Initially we were apprehensive about our holiday in Greece as it appeared that Greek cooking seemed to be mainly meat and cheese. 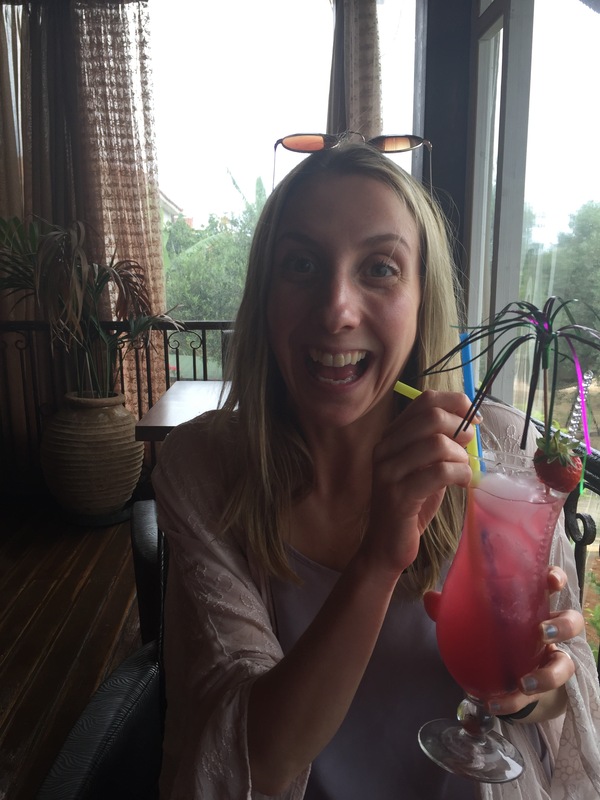 Traditionally for us our holidays revolve mainly around food so we were a bit anxious that we would feel like we were missing out but it was wasted worrying as the food was AMAZING! In the spirit of full disclosure I feel I have to say that there were a couple of instances where food we’d ordered without cheese, came with cheese on top *le sigh* but we just scrapped it off and munched around it, so it wasn’t a big deal. 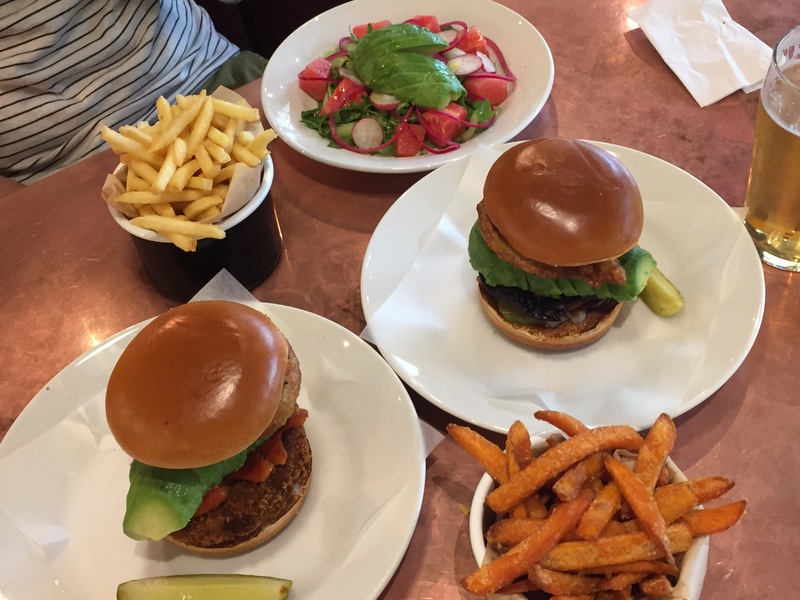 Here are our vegan highlights. 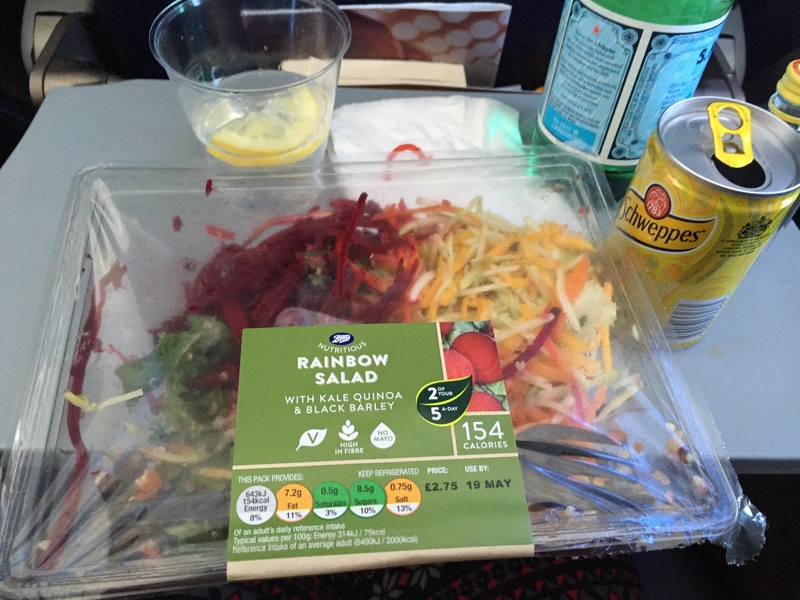 We were flying Thomsons so no included inflight meal for us. We did the bog standard thing of getting a Boots Meal Deal on the way there. There was loads of vegan options, so that was fine. The way back was a bit tricker as the deli at the airport had no vegan options and because we were flying at 1.30pm we had to be at the airport at 11am and didn’t arrive back in Britain until 5pm (Greece time) we were kinda forced to buy something on the plane. 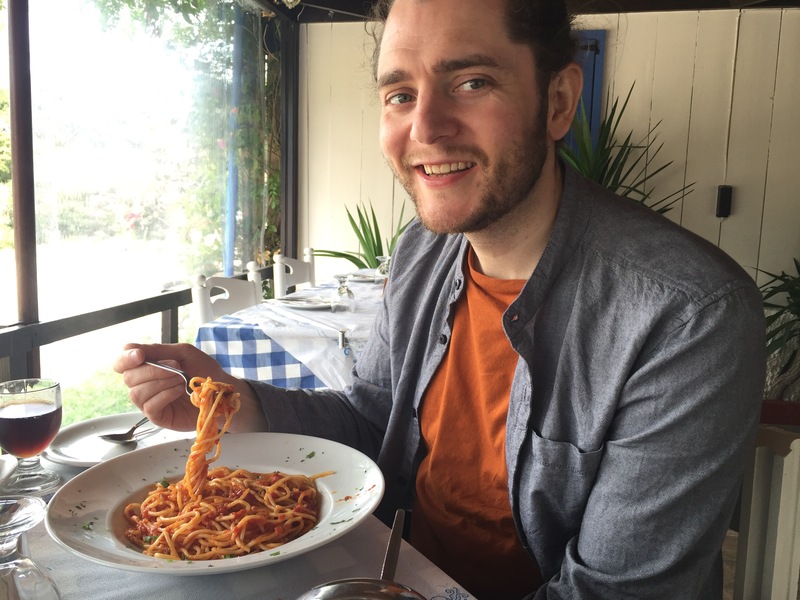 We went for the vegetable pasta (because it was the one and only choice) which was six whole pounds of British coinage. In fairness to Thomsons it was actually quite nice but I think that was because I was starving and it had the salt content of a packet of crisps and the sugar content of a mars bar. The two gin and tonics I had to wet the whistle on the way down probably helped too. 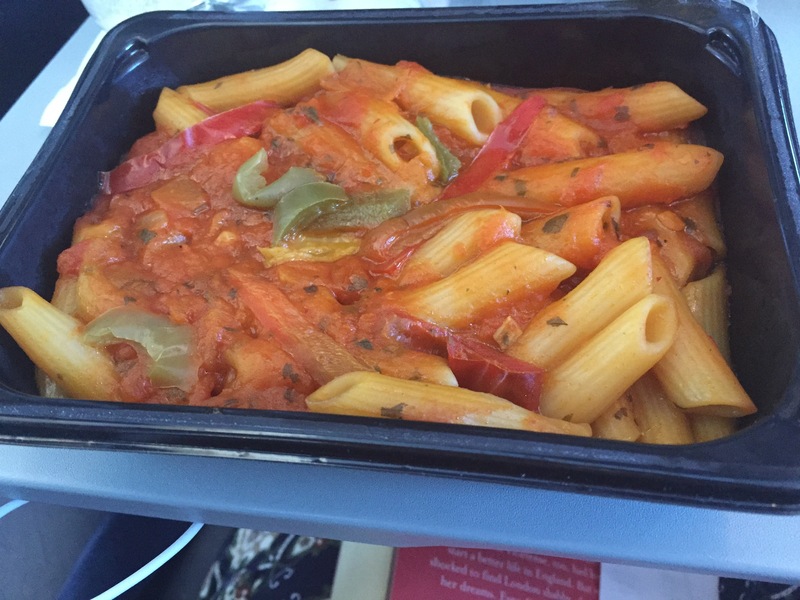 Crap areoplane food is part and parcel of going on holiday though, it’s all part of the fun and this pasta was a million times better than the cheese and ham toastie I once had on a Jet2 flight to Croatia. (I’m pretty sure the aftertaste is still lingering in my mouth from that monstrosity). Let’s face it. No matter where you go in the world, whatever incredible sights you see, cultures you sample, people you meet, life changing experiences you have. The highlight of any holiday is always the breakfast buffet. 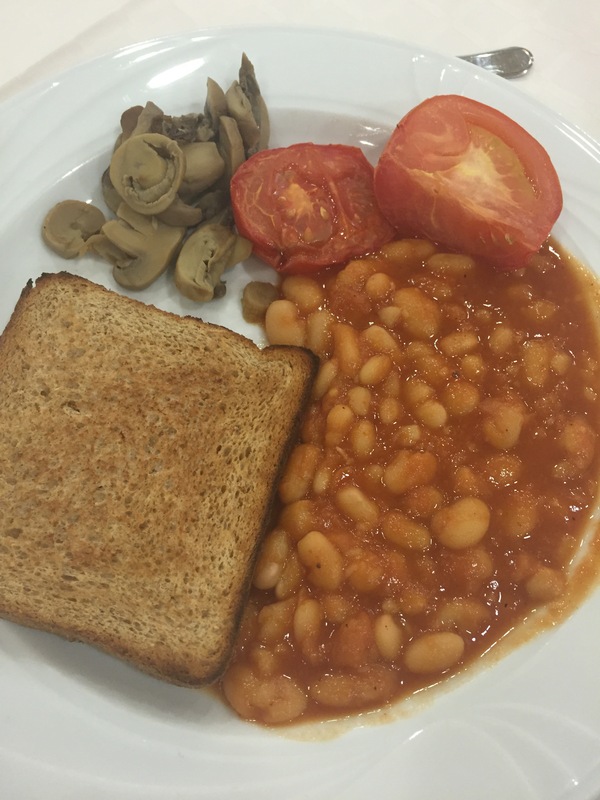 On the first day we went down to breakfast and were excited to discover that we could easily cobble ourselves together a fried breakfast using the fried vegetables and beans. The hotel also believed that Oreos are a breakfast staple and though I don’t agree, I was certainly happy about. I could live off this kind of food forever but Andy is more of a cereal and fruit man himself so we decided to go on the hunt for some soya milk. 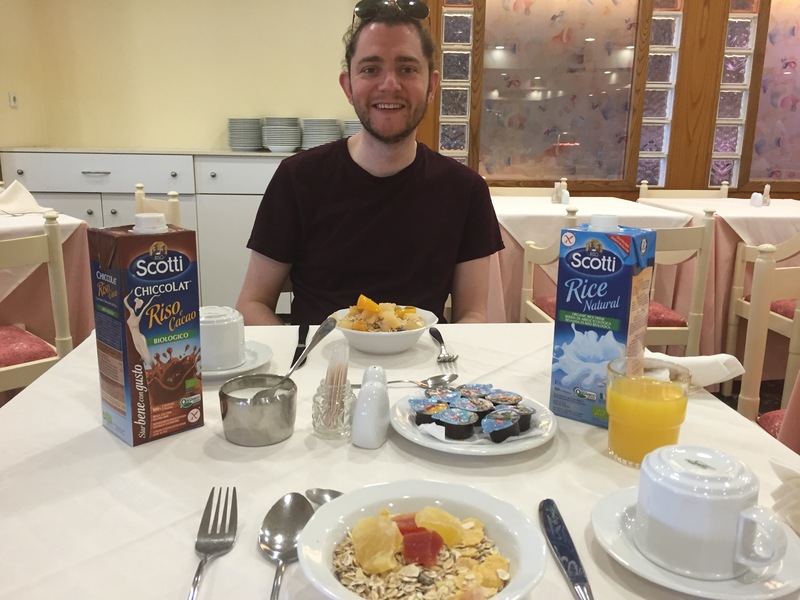 When I say hunt I actually just mean we visited the hotel mini-mart and there we found not one but THREE milk alternatives, they had soya milk, rice milk and chocolate soya milk. 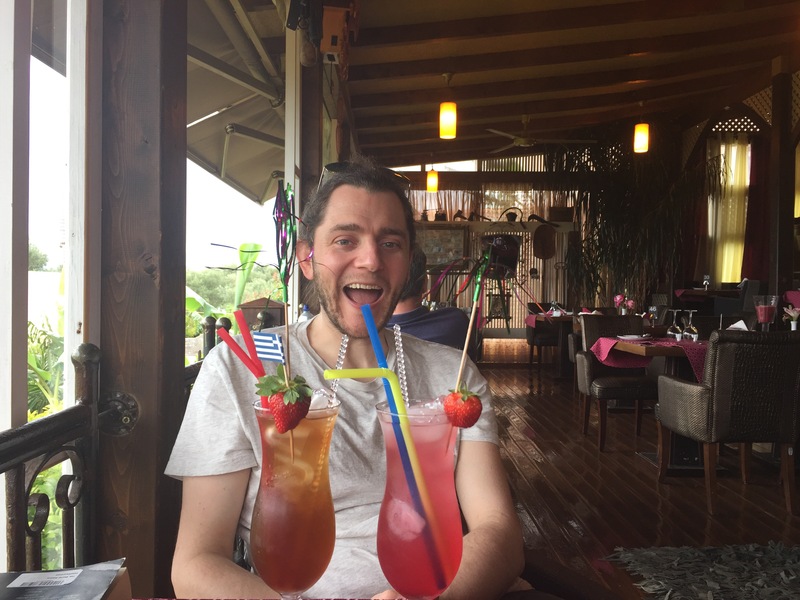 Here is Andy looking chuffed at his breakfast. We were half board and we were allowed to choose between lunch and dinner at the hotel which meant we weren’t tied to the hotel which was brilliant. However we did end up eating in the hotel most evenings because the buffet was incredible. 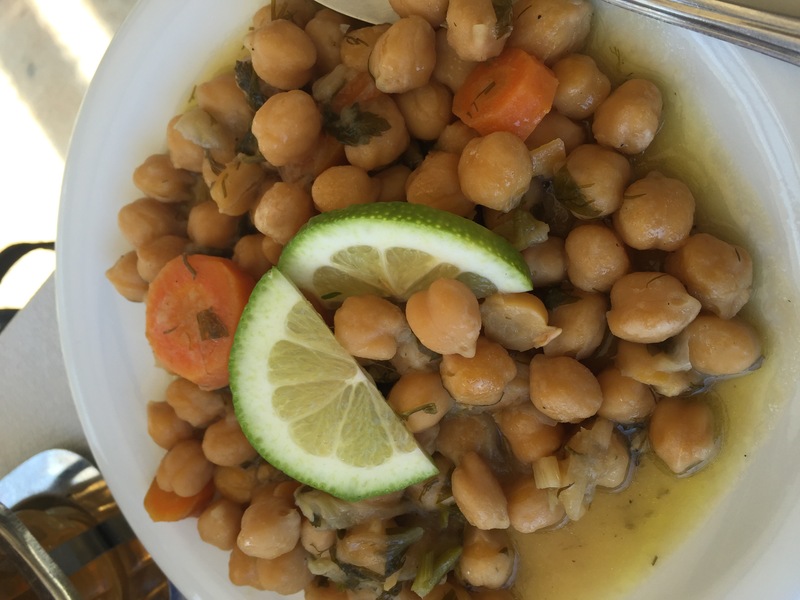 So many fresh vegetables, pulses, stuffed vine leaves, salads, breads, the options seemed endless. 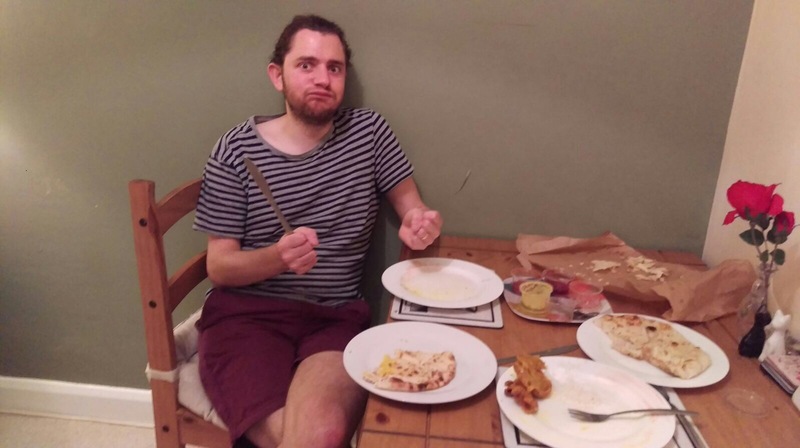 There was never a night that we didn’t eat at least two plates in complete silence with only the odd grunt of contentment to puncture our greedy guzzling. Here is a medley of some of the plates I remembered to take a photo of before I gobbled it up. 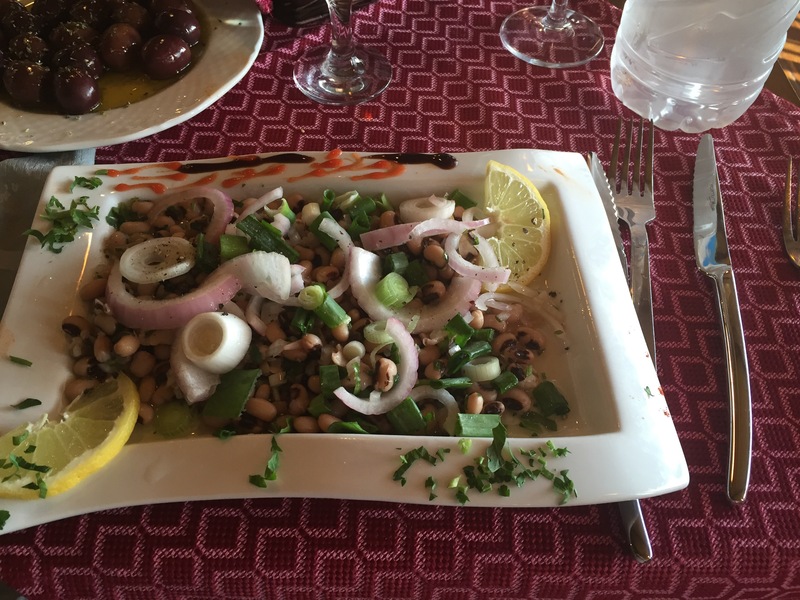 Greek vegan options though not vast, are very very tasty. 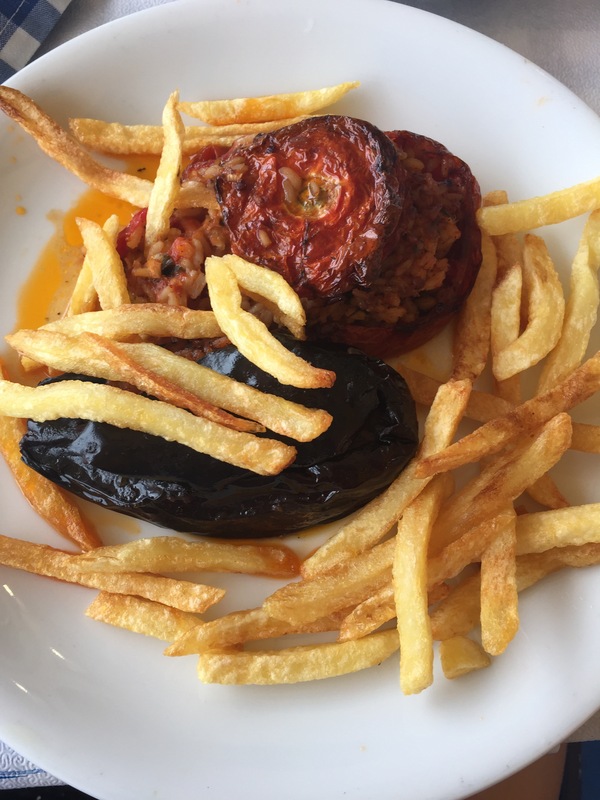 You can usually find rice stuffed peppers or tomatoes on the menu and if you’re really struggling most menus have some vegan options in the meze sections. 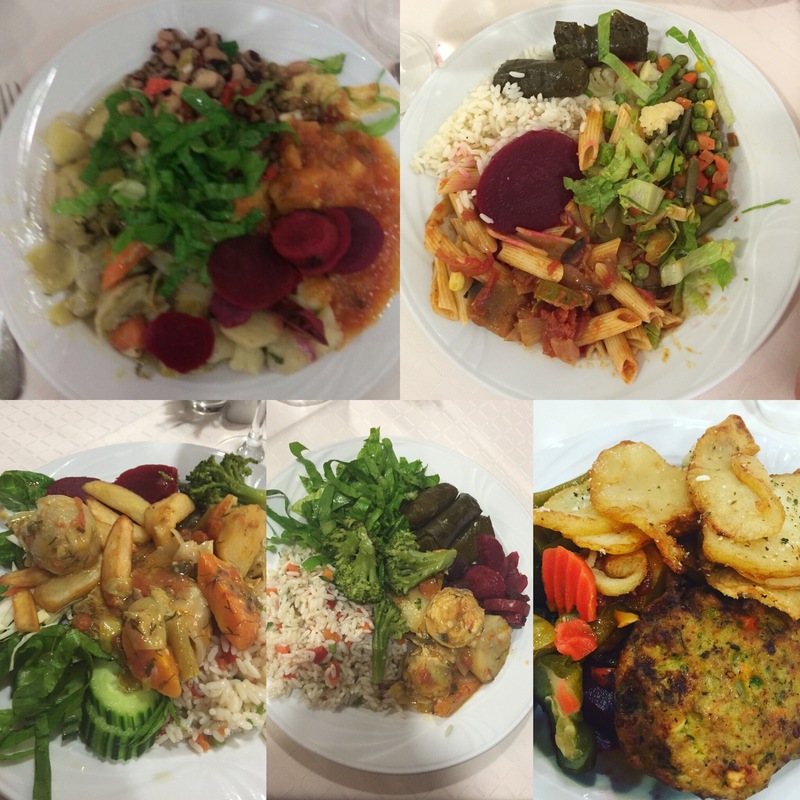 Here is a selection of the meals we ate. You need treats on holiday. It’s the law. 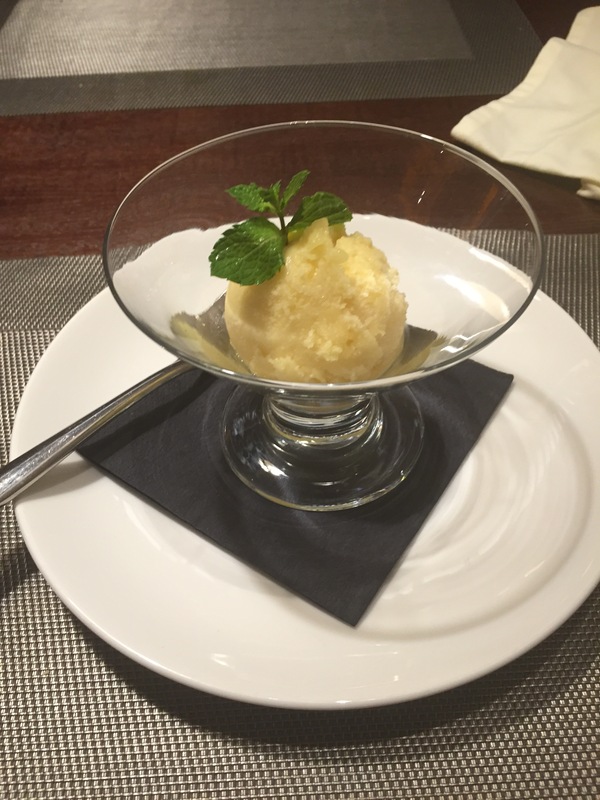 Obviously ice cream is off limits but sorbet is usually vegan so we ate a lot of that! We had mango, strawberry, lemon and orange. If there wasn’t a sorbet option we’d have a cocktail, simples! 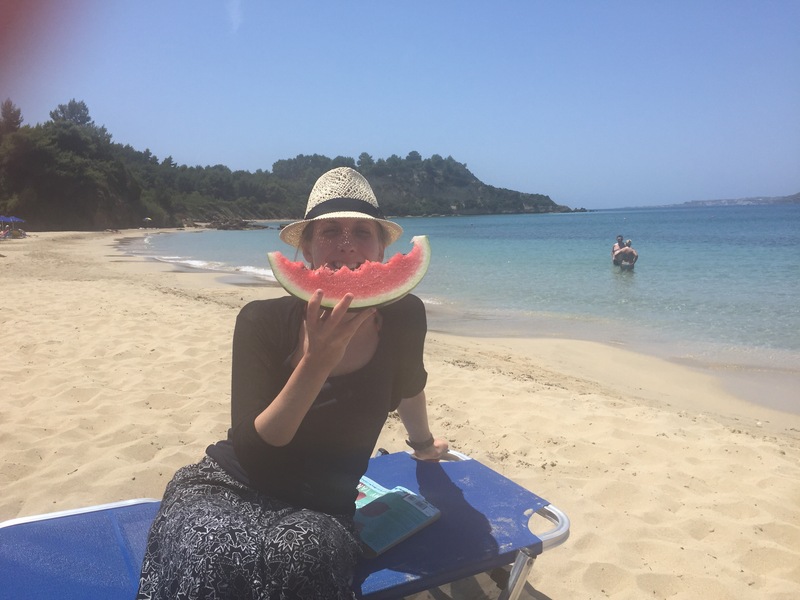 Also never underestimate the pleasure of eating a plain watermelon on the beach. 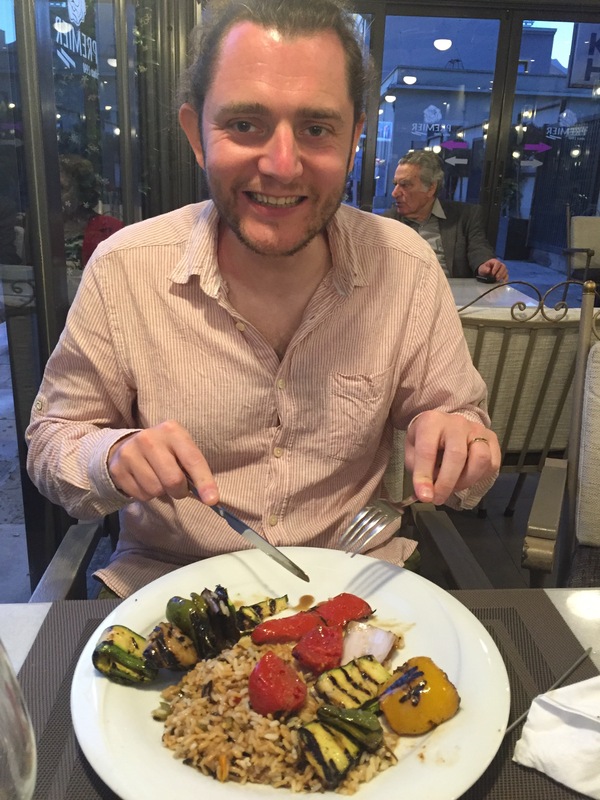 Our first vegan holiday was a resounding success and the half stone I’ve put on will agree that the food was amazing and we certainly didn’t miss out! 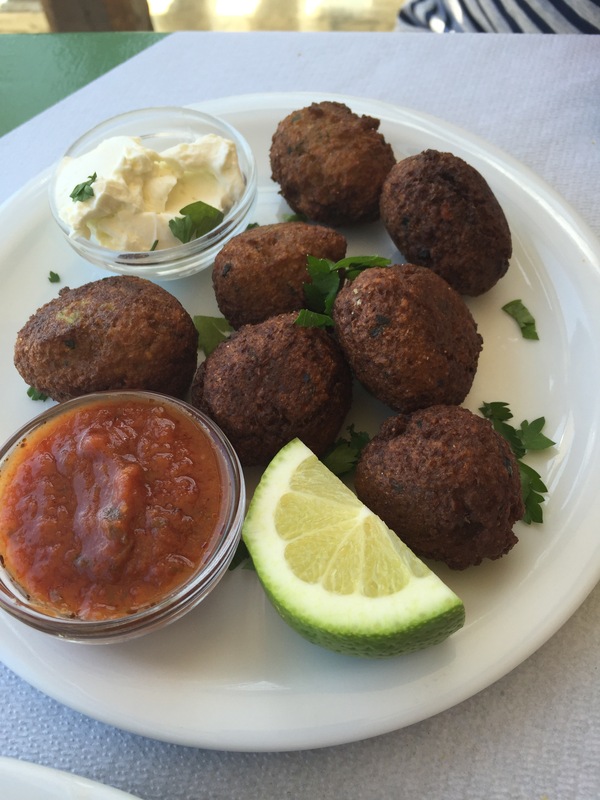 What’s your favourite holiday destination for vegan food?? Aquafaba Brownie Bites, Little Nibbles of Heaven. I have toothache. It’s awful, and I can’t stop telling people about it. I am prefacing every single conversation with ‘I have toothache’ as it’s the only thing I can think of to say. I have had my bottom firmly planted on my couch as I watch ‘Frankie and Grace’ on Netflix and massage my head. Well that was until my new electric whisk arrived in the post, even my toothache isn’t going to stop me playing around with that. I am so excited to try Aquafaba cakes! My first attempt at this ended in a flat, flat, flaaaaaat, far too sweet thing, that I couldn’t even get out of the tin. Not own to be deterred though I tweaked the recipe and these brownie bites were born. 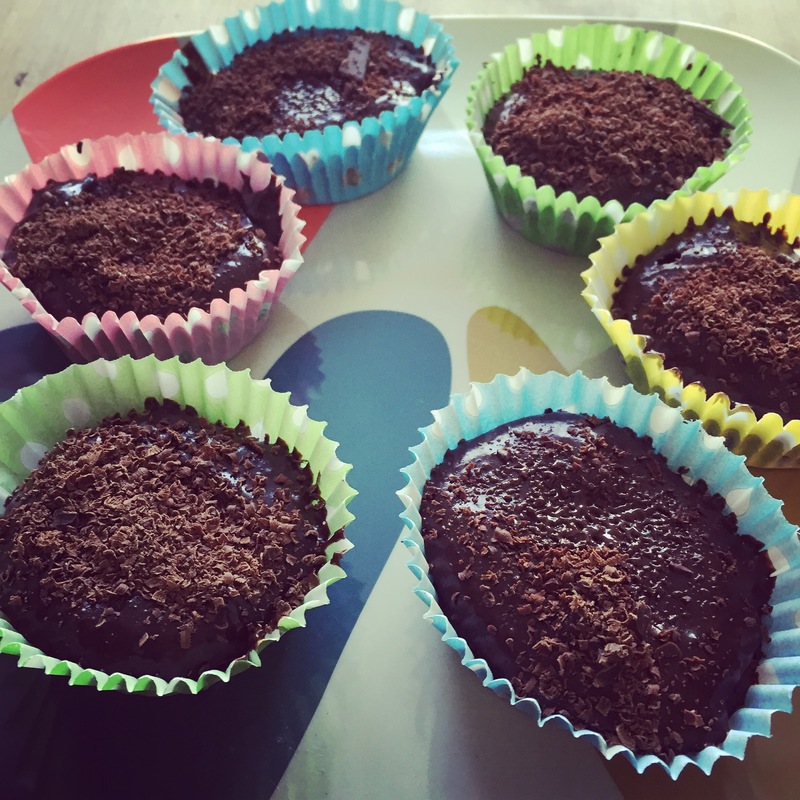 Originally I was going to suggest that they are made in a brownie tin but after chilling these in the fridge for a couple of hours these are perfect just as they are. And that’s it. THATS IT!!!! Trust me of this. Truuuuust me. In about three minutes it will start to thicken. 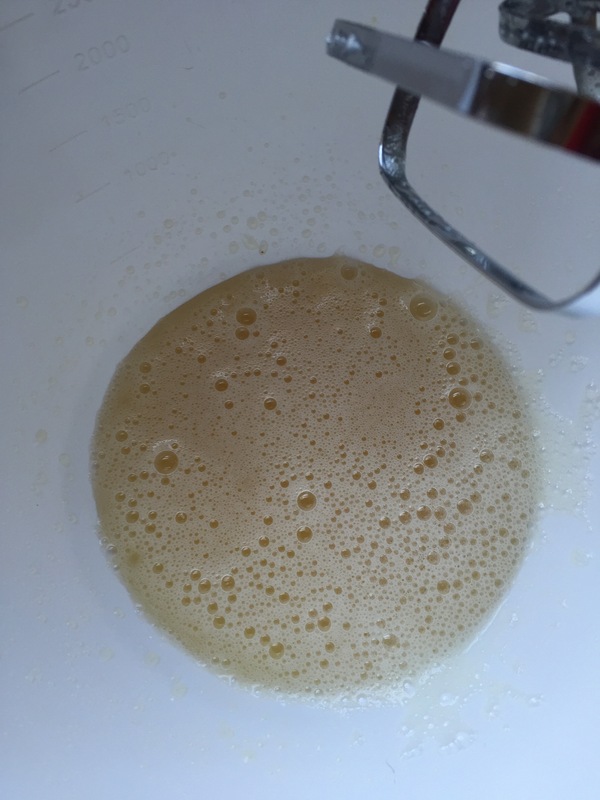 Add the sugar and keep awhisking away until peaks start to form. (This will happen just after you think you’re doing something wrong, all hope is lost and it’s never going to happen). 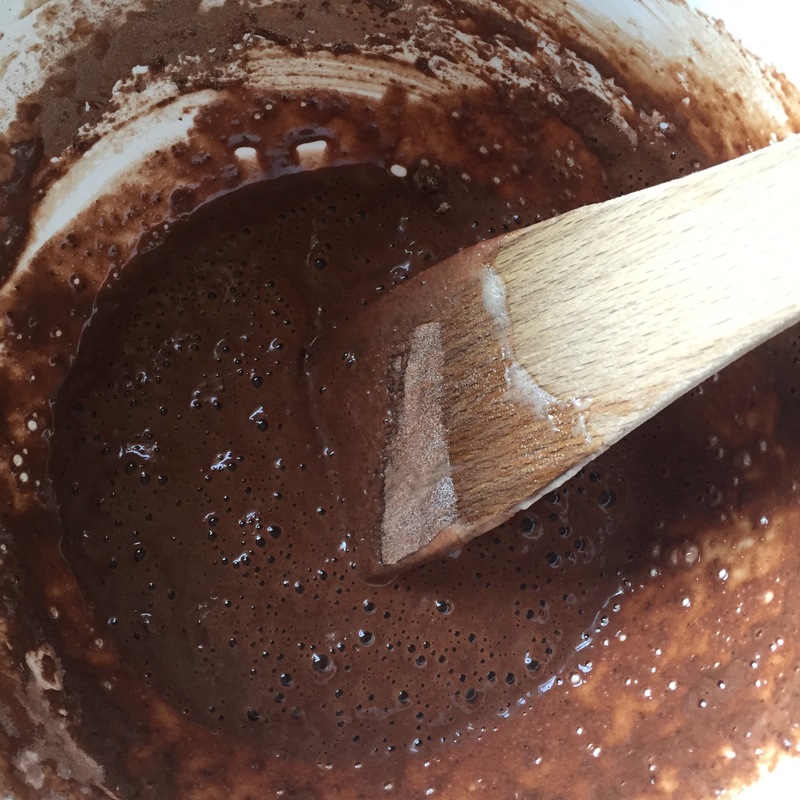 Then sift and fold in the cocoa and flour into the mixture being careful not to over mix. Pour into the cake papers but bear in mind they don’t rise much so full them about three quarters of the way. 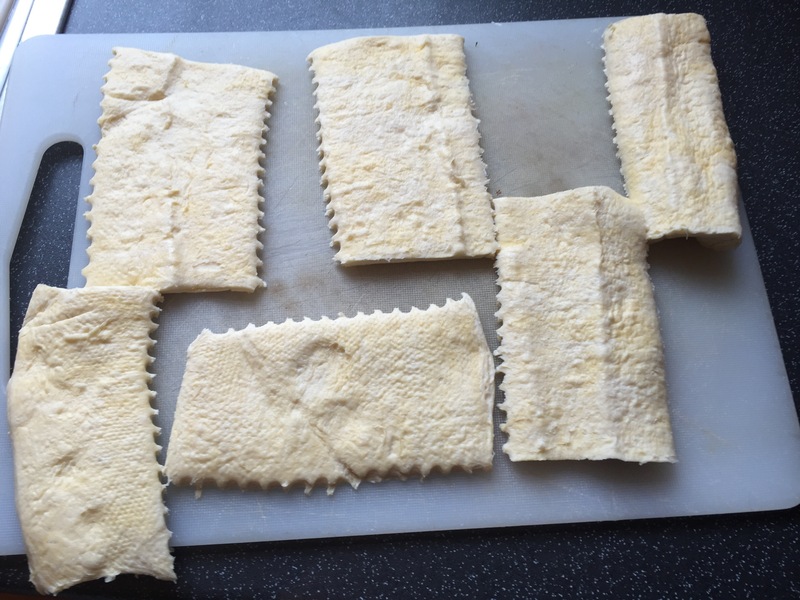 Pop in the preheated oven on 160 degrees celcius for 25 minutes. While they are cooking make the icing. Place a bowl on a pan filled with boiling water. 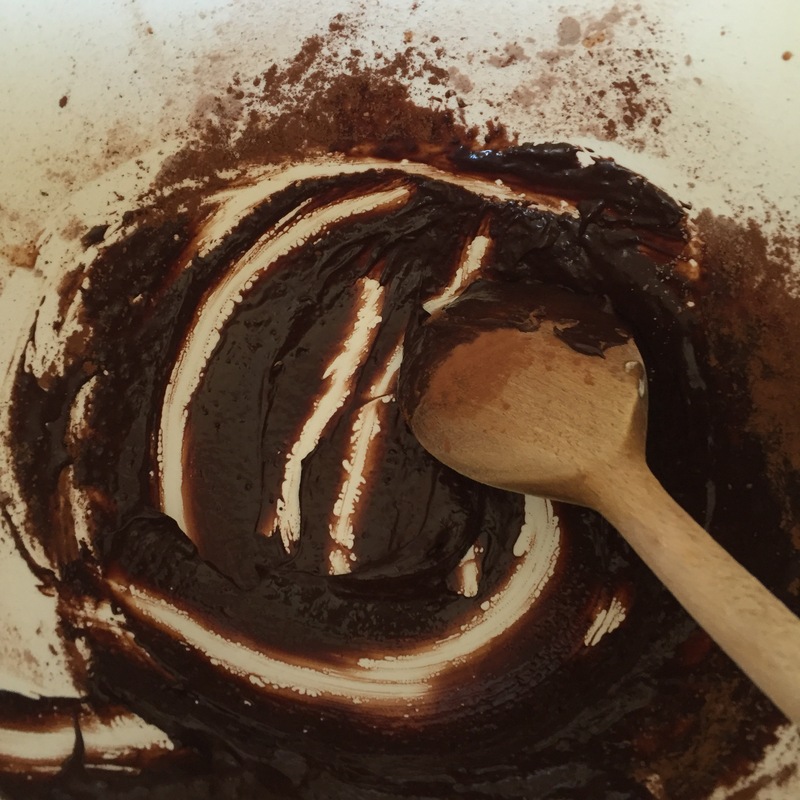 Melt the butter in the bowl and add the icing sugar and cocoa and milk until it’s the desired consistency. I’ve deliberately not put measurements because it’s a preference thing, I prefer it thick and not too sweet so I use a lot of cocoa. When the cakes are totally cool, top them with the icing. Then this is the important part! DONT EAT THEM YET!!! It will be tempting to polish them off now but don’t, pop them in the fridge for at least an now.